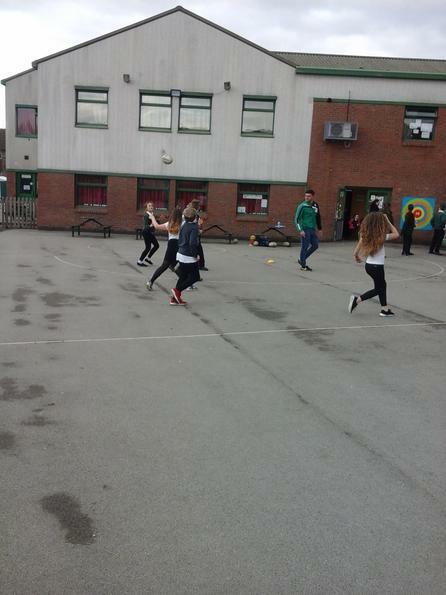 As part of our P.E. 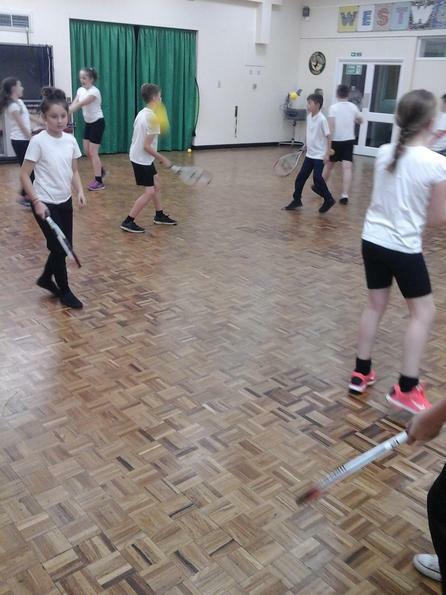 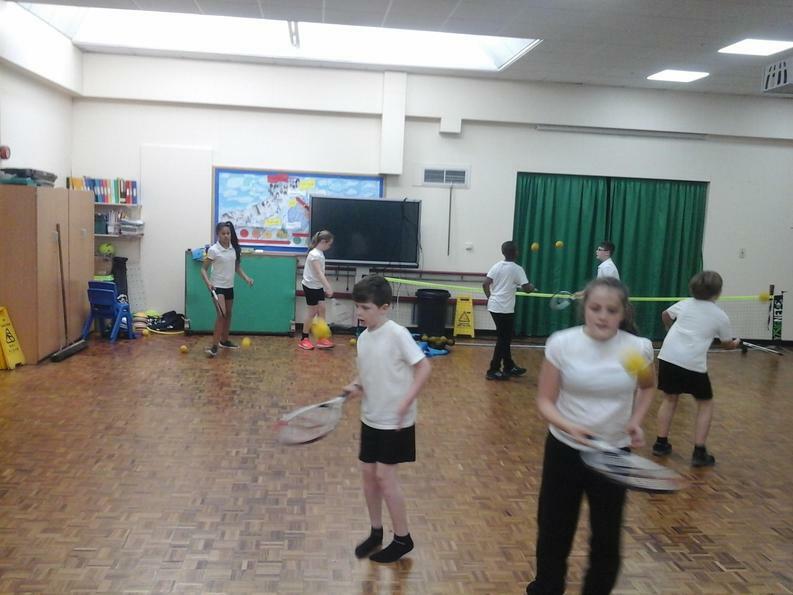 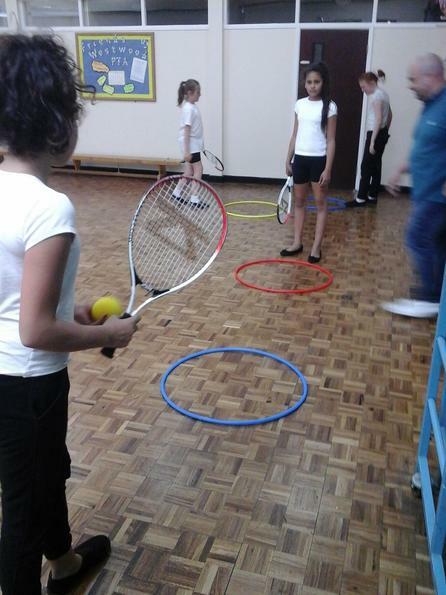 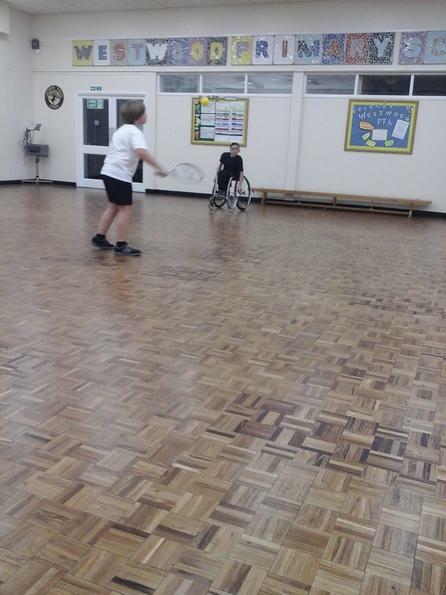 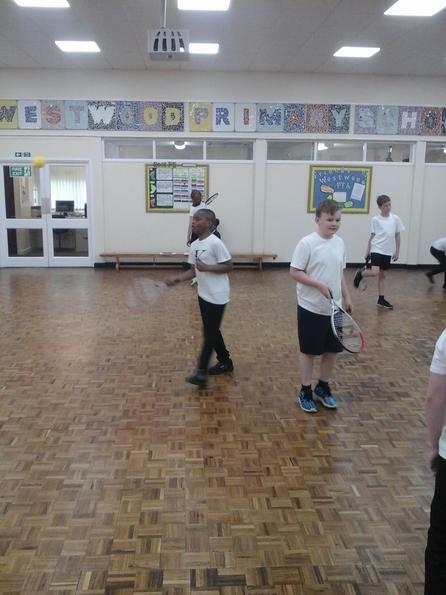 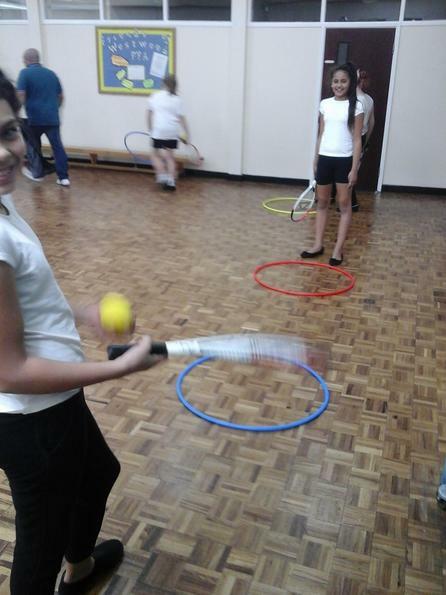 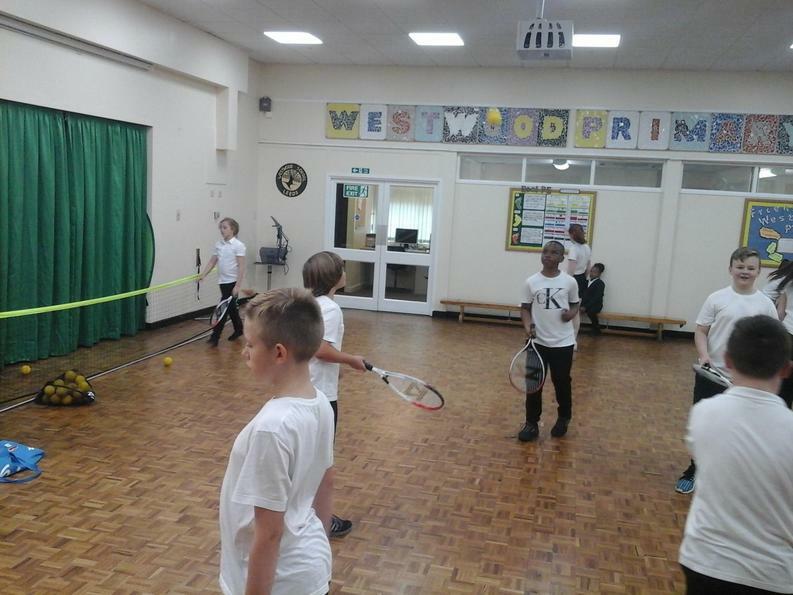 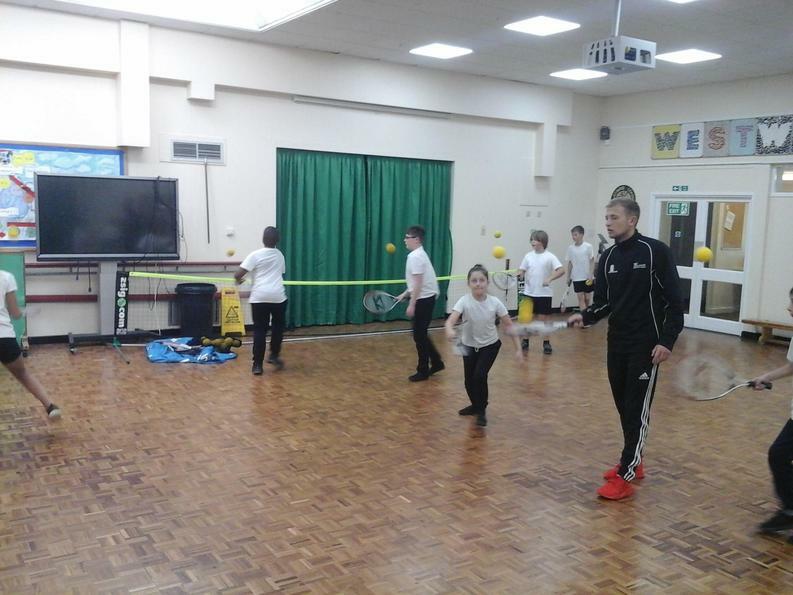 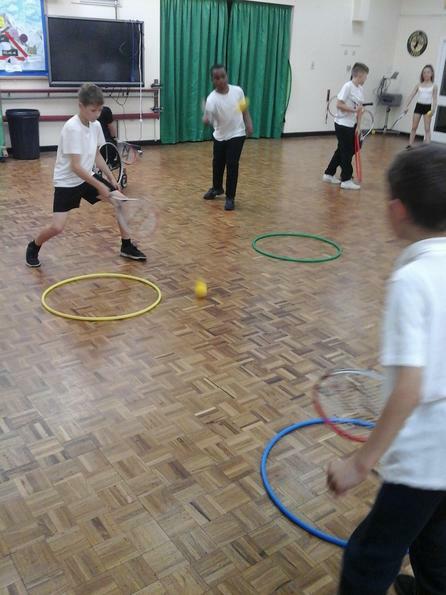 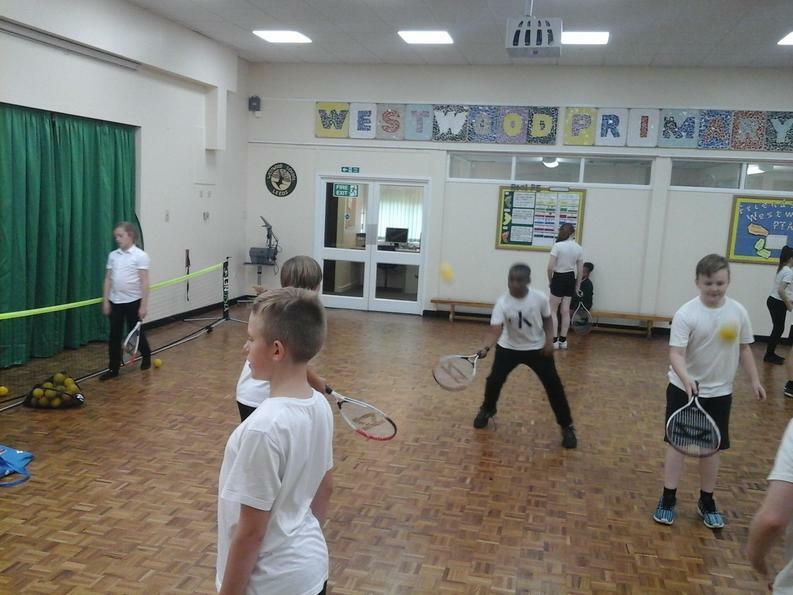 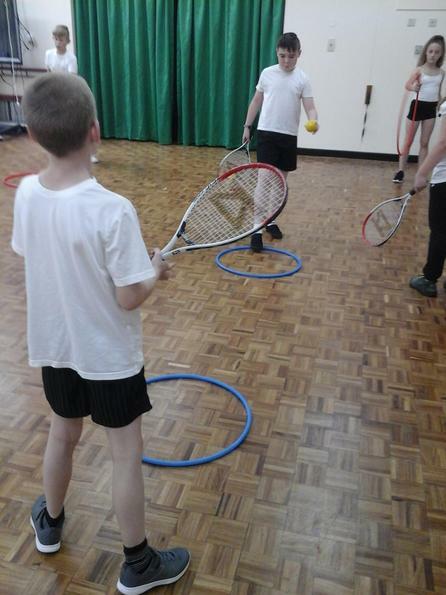 lessons this half term, we have a coach coming in each week to teach us tennis skills. 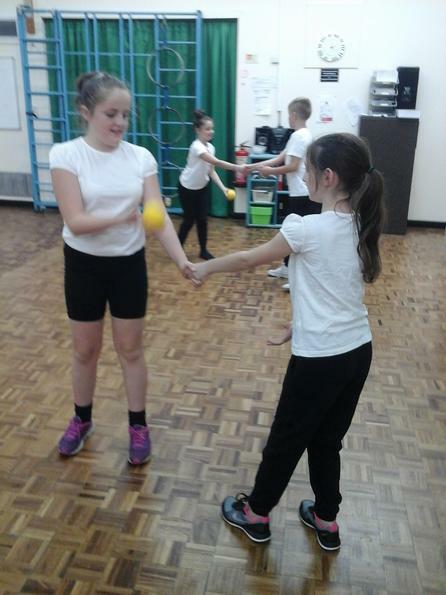 Our second P.E. 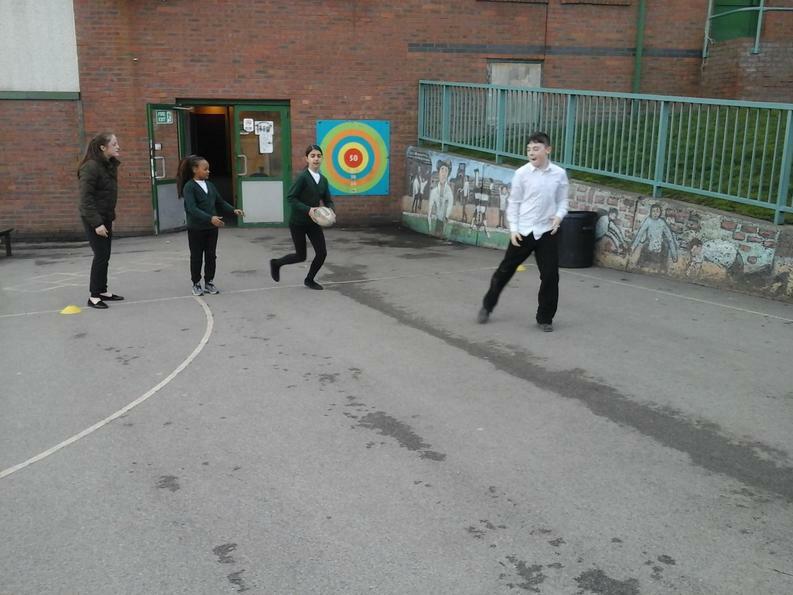 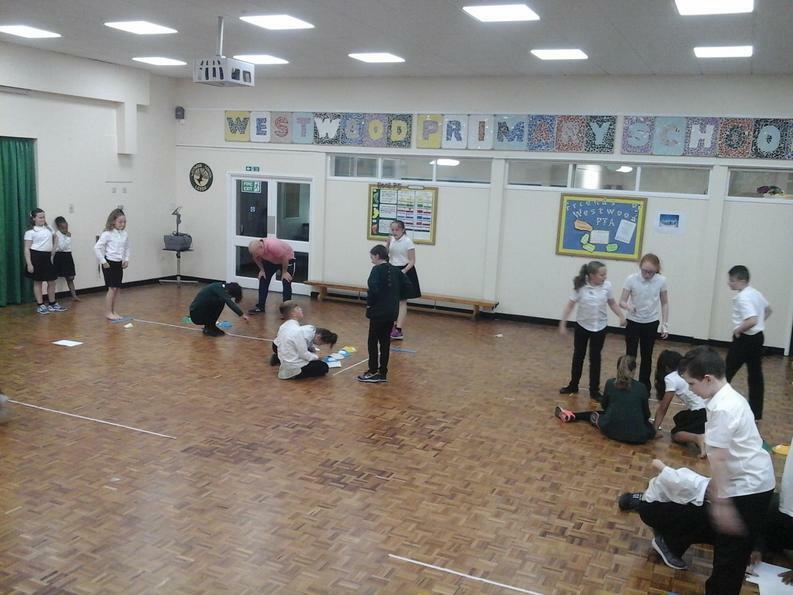 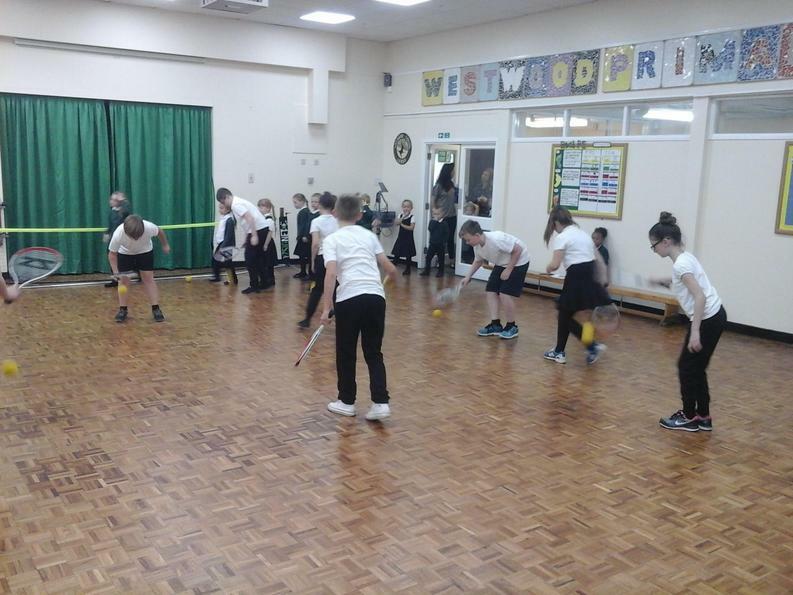 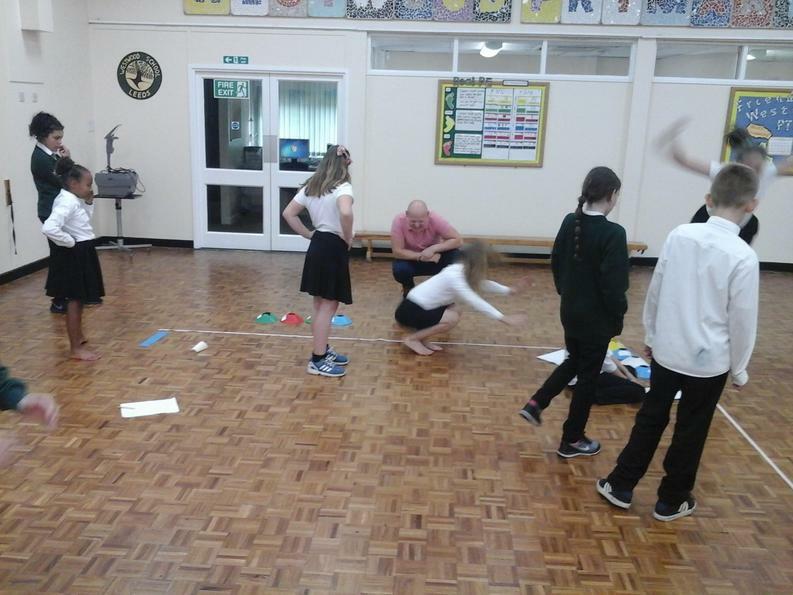 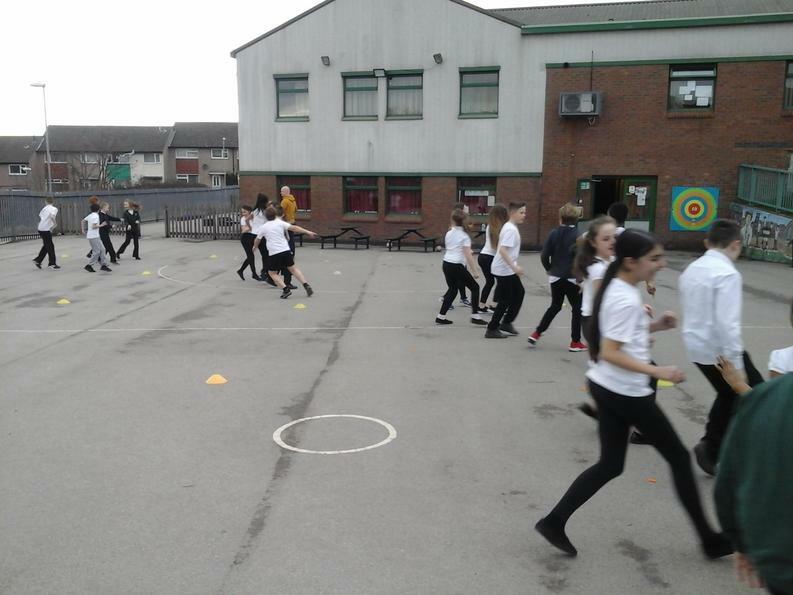 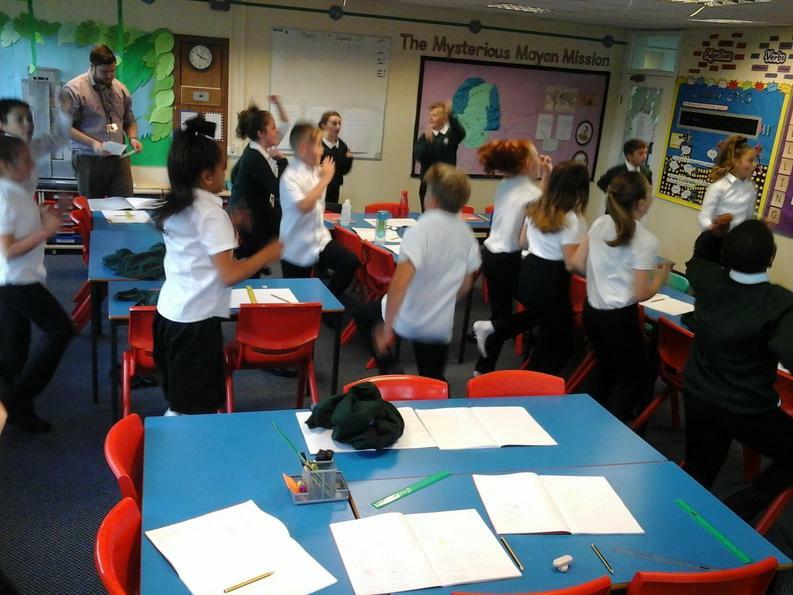 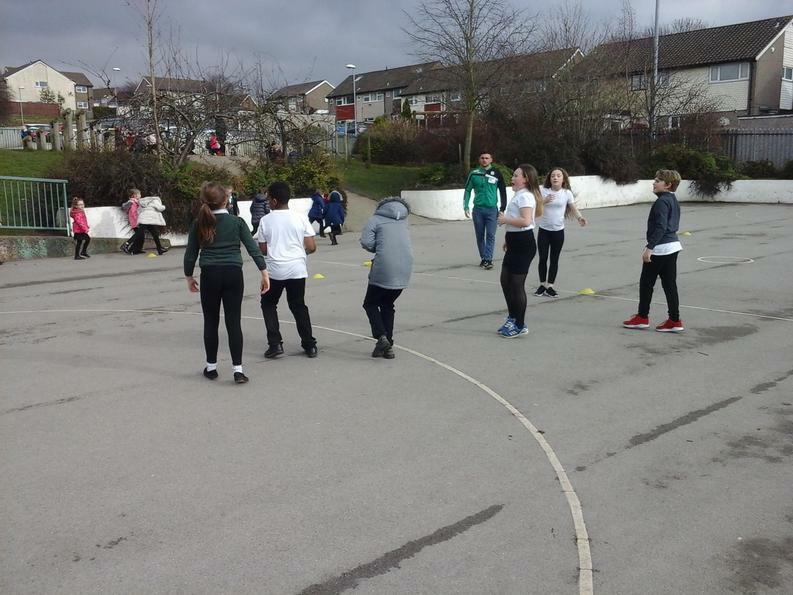 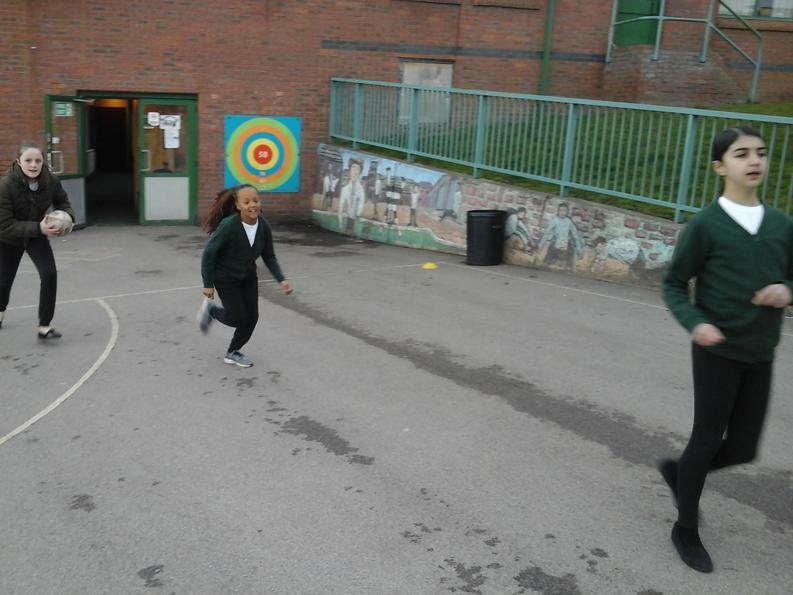 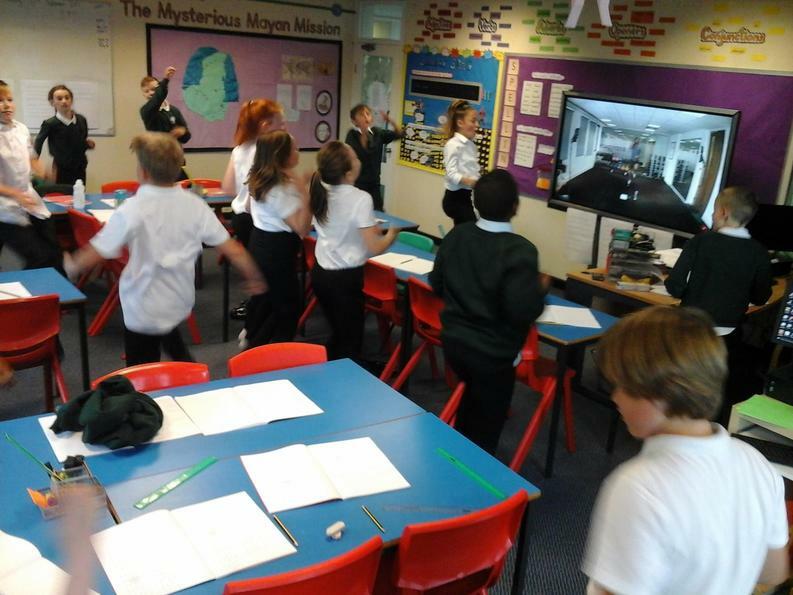 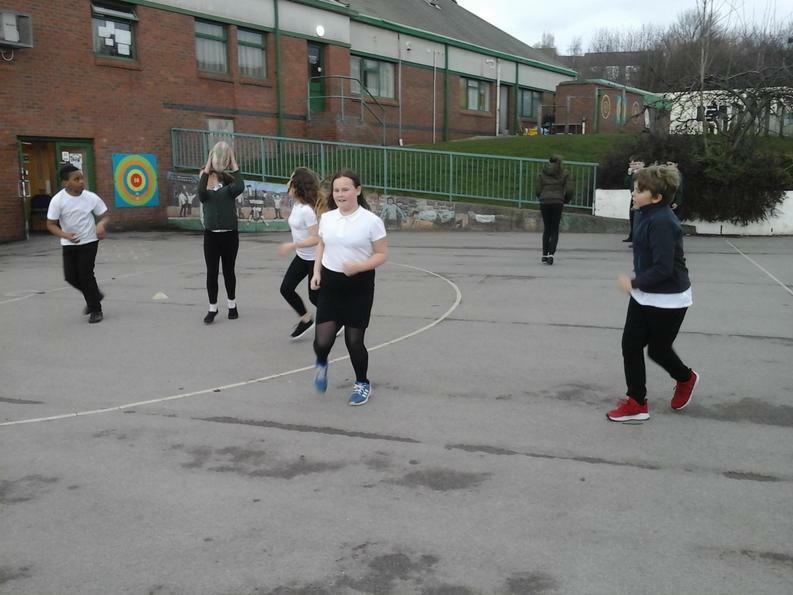 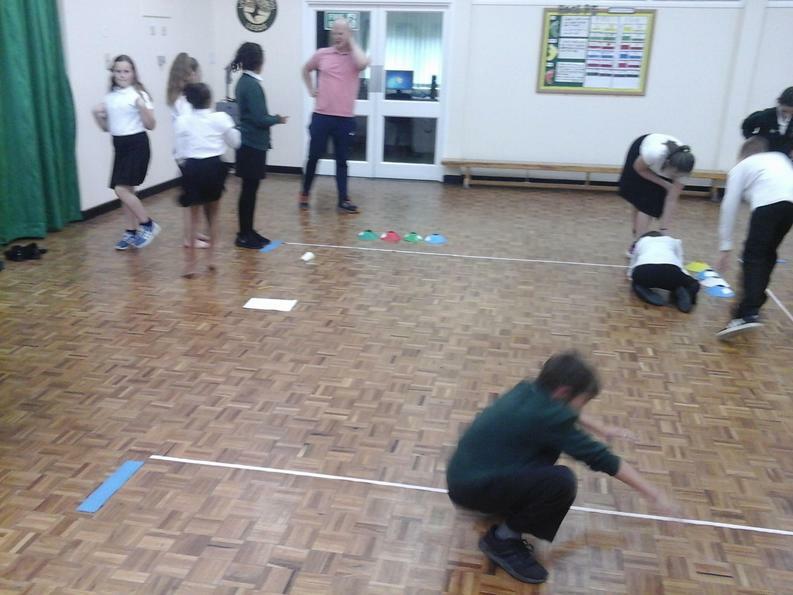 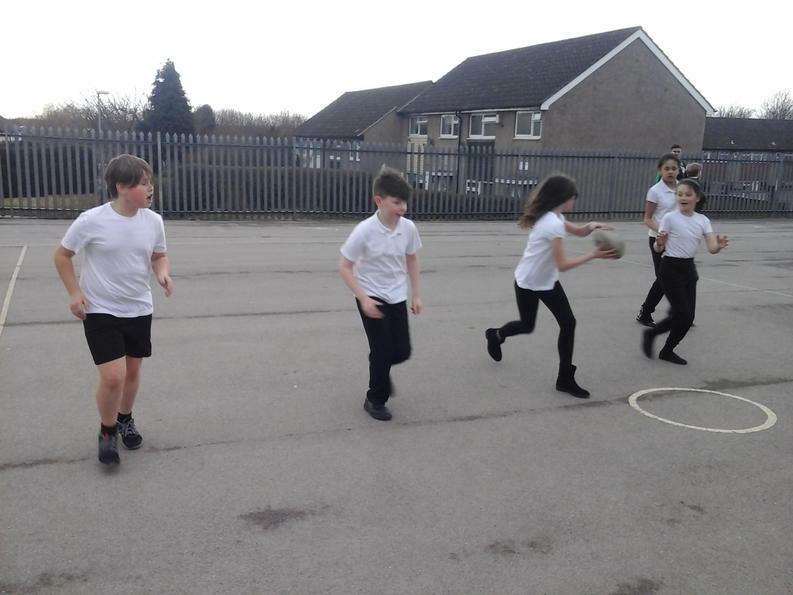 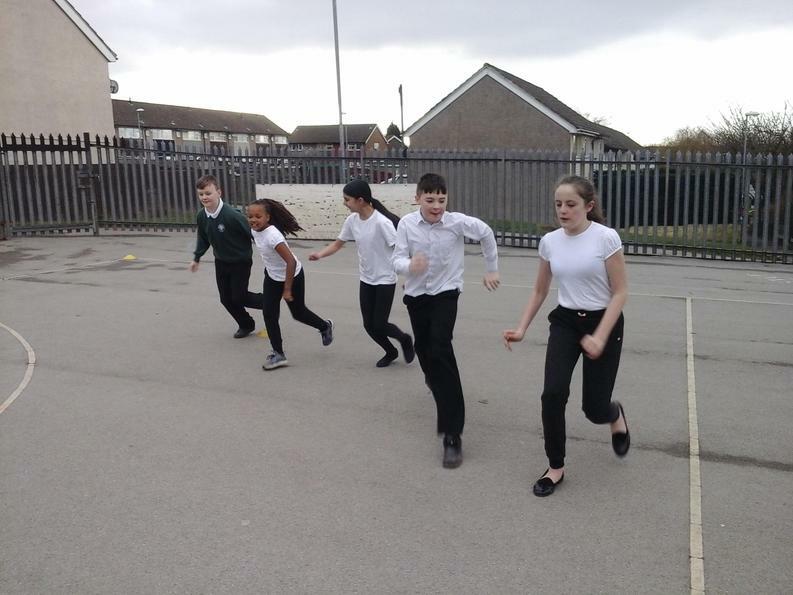 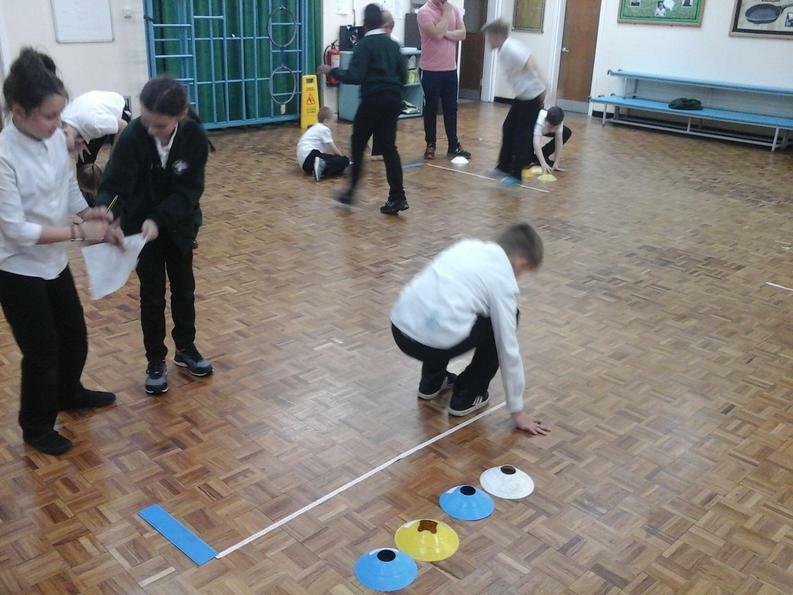 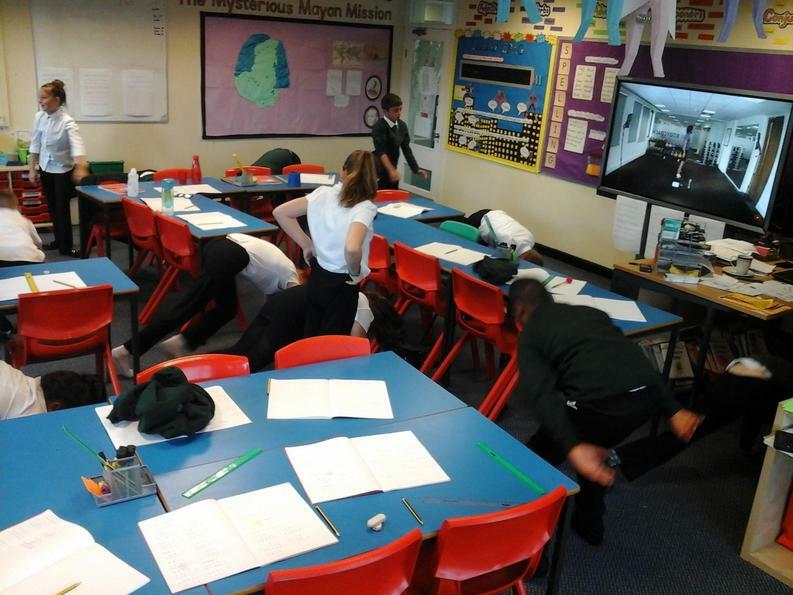 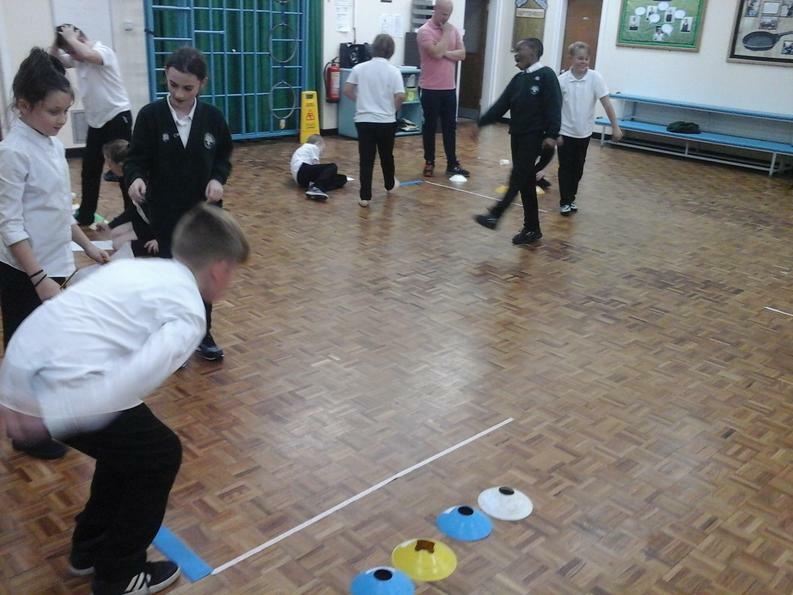 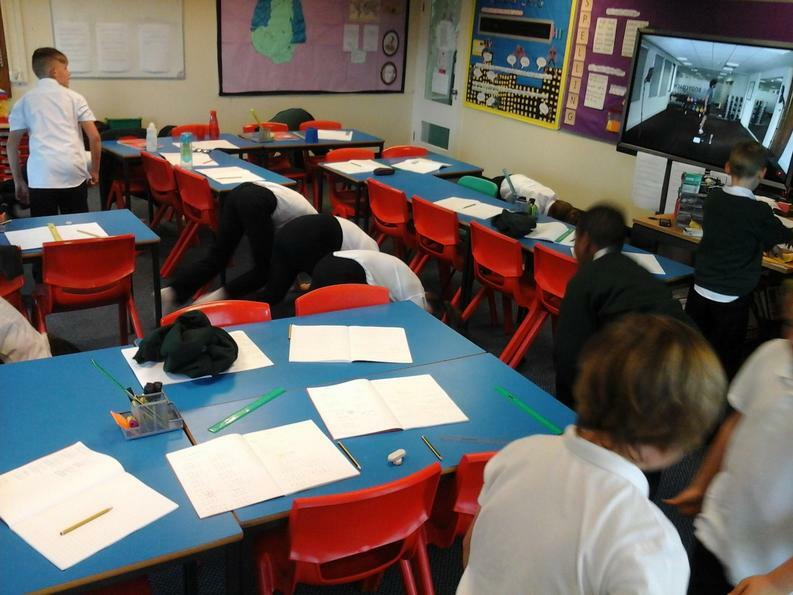 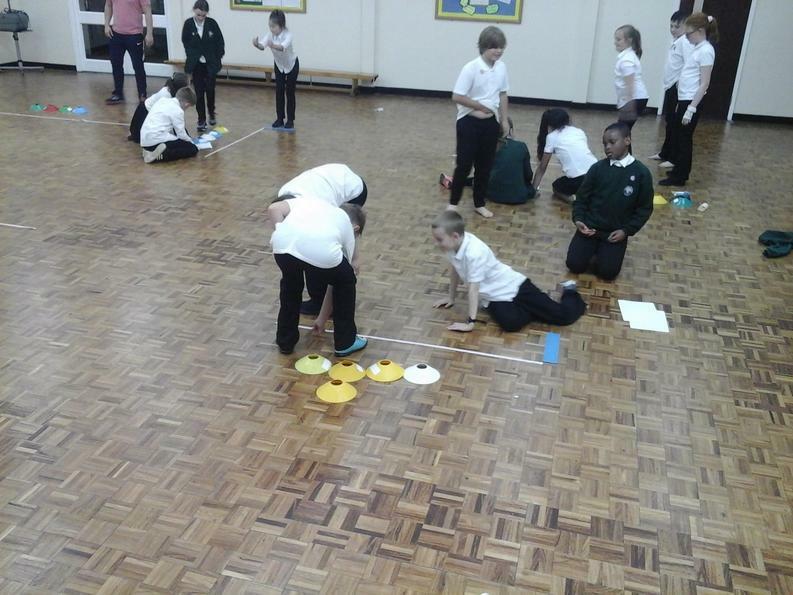 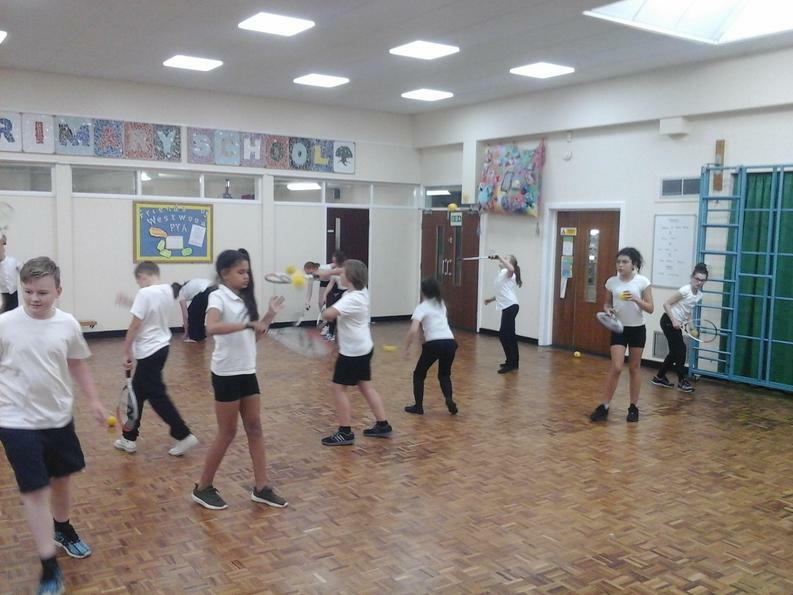 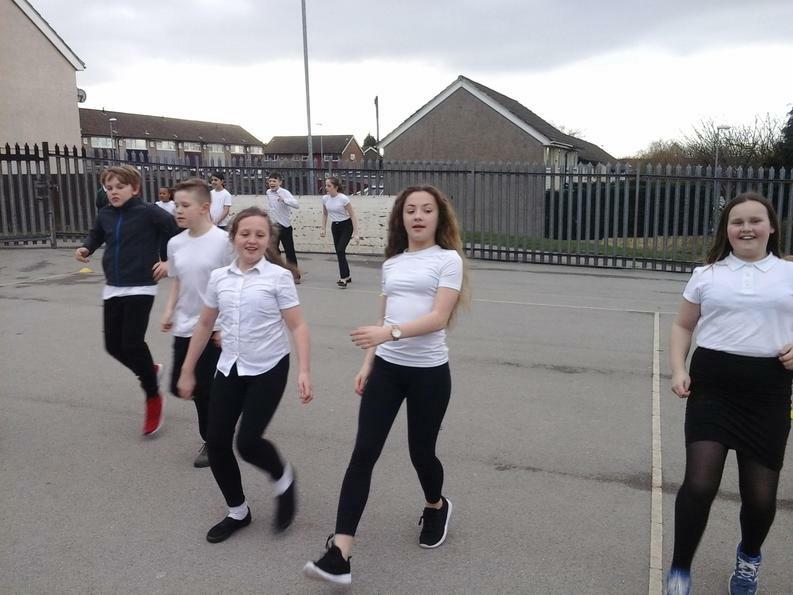 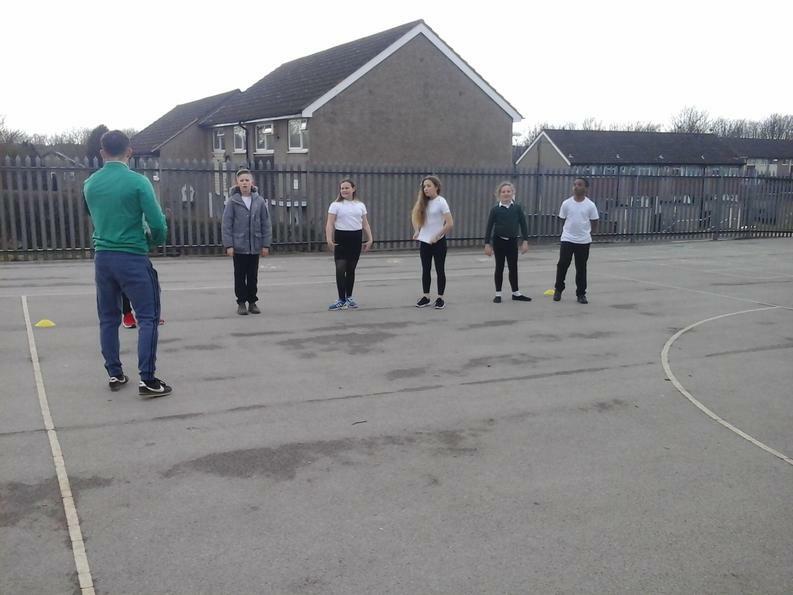 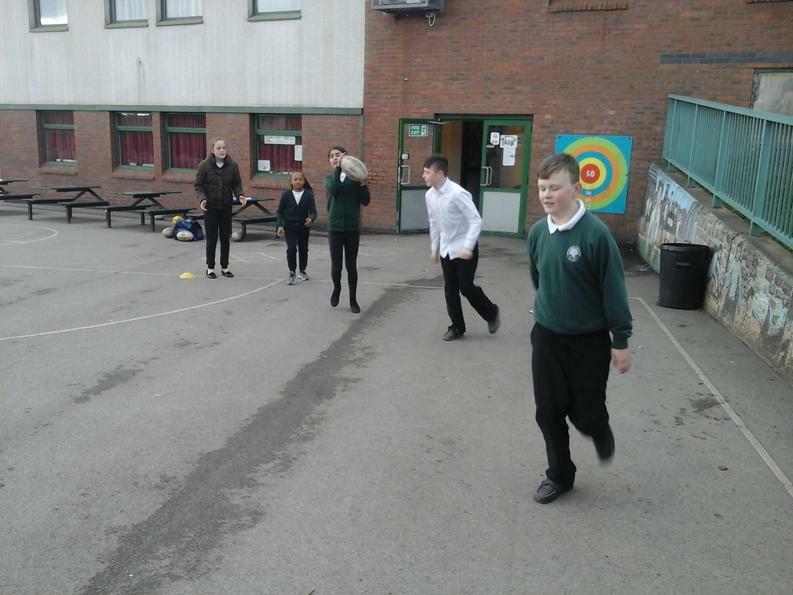 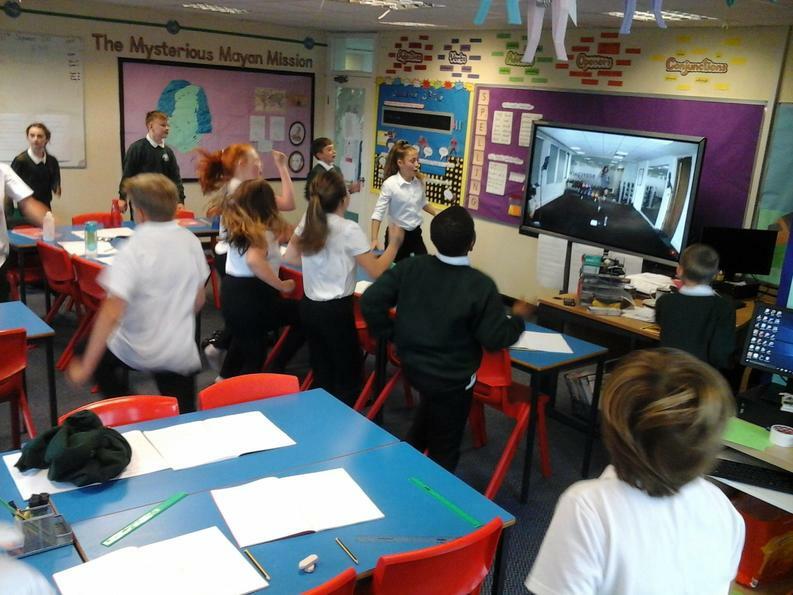 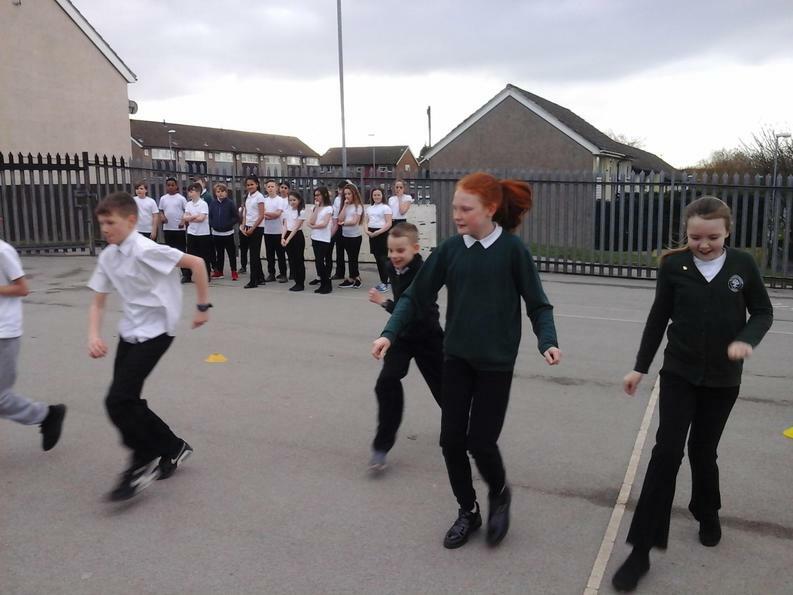 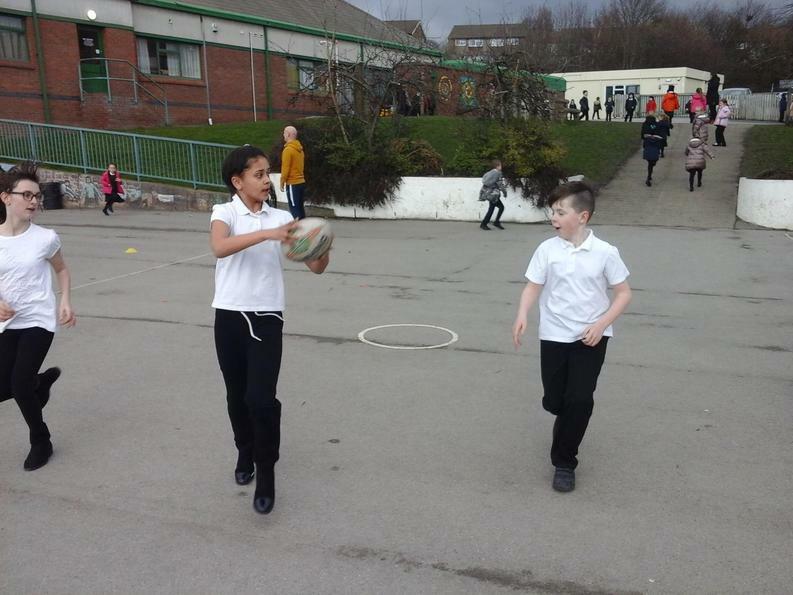 lesson each week is taken by Mr Ogden and this half term we are practicing our athletics skills ready for a competition in which some of us will be attending. 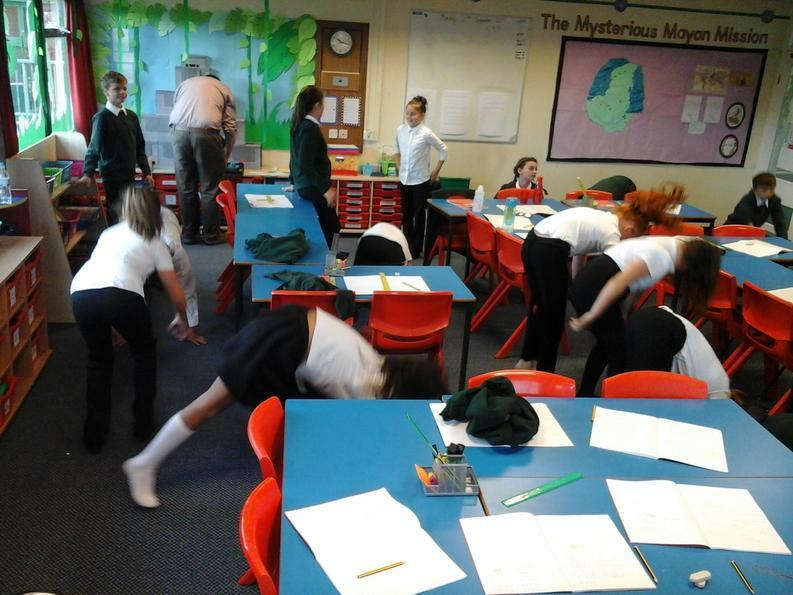 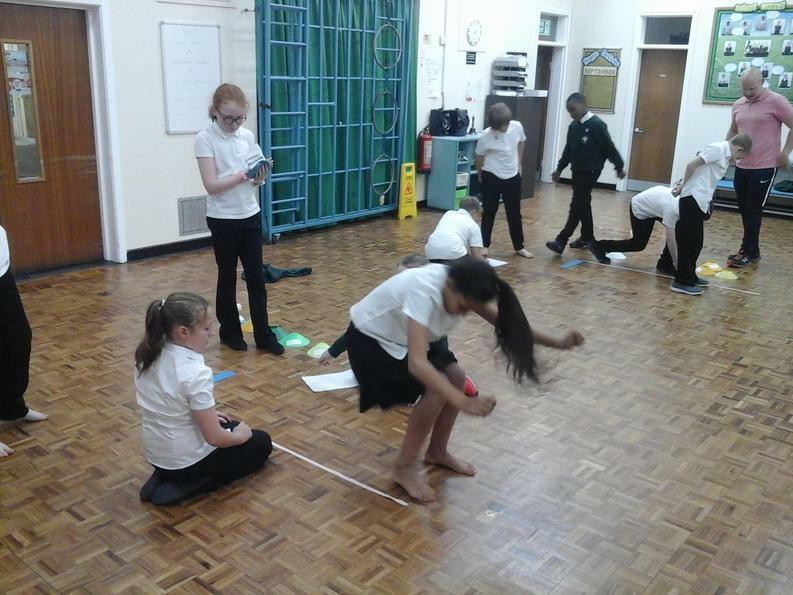 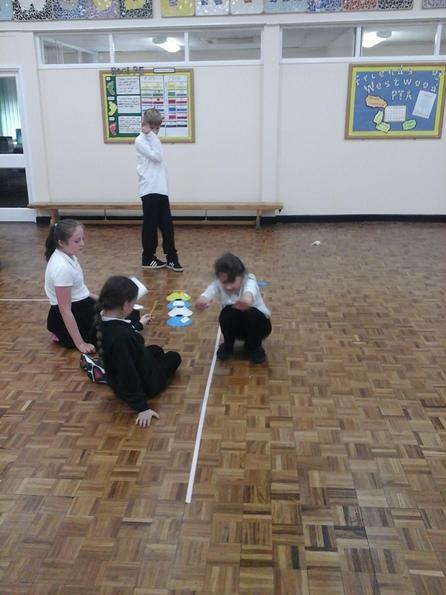 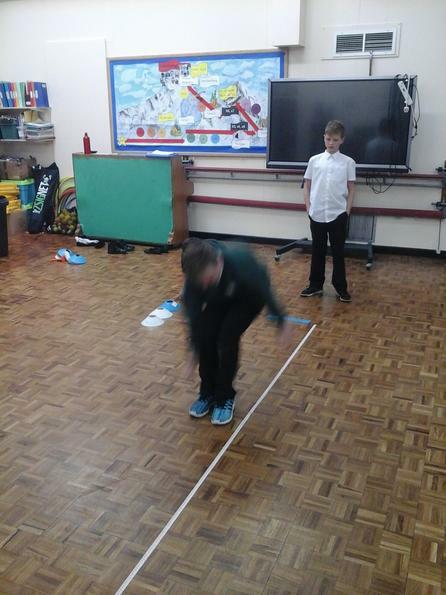 Here we are practicing our standing long jump. 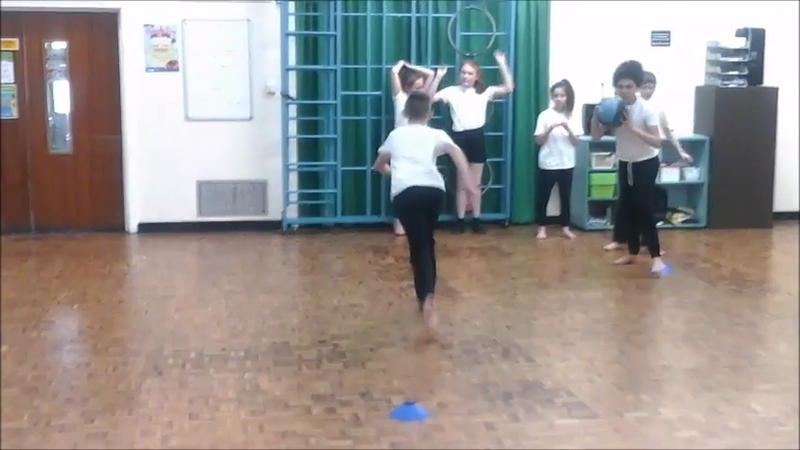 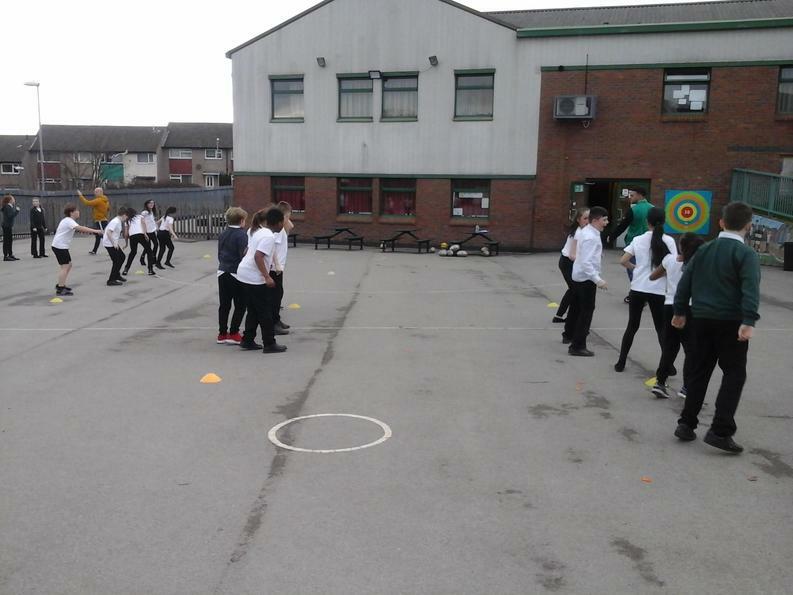 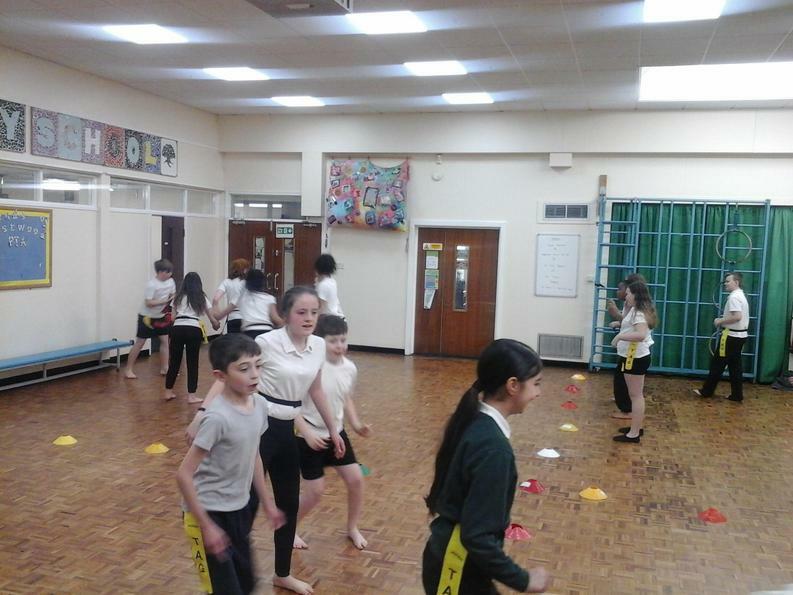 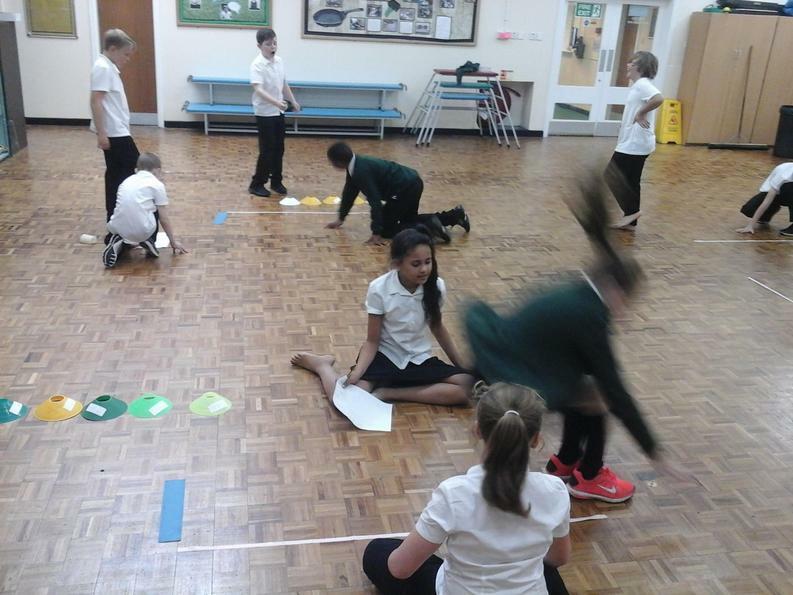 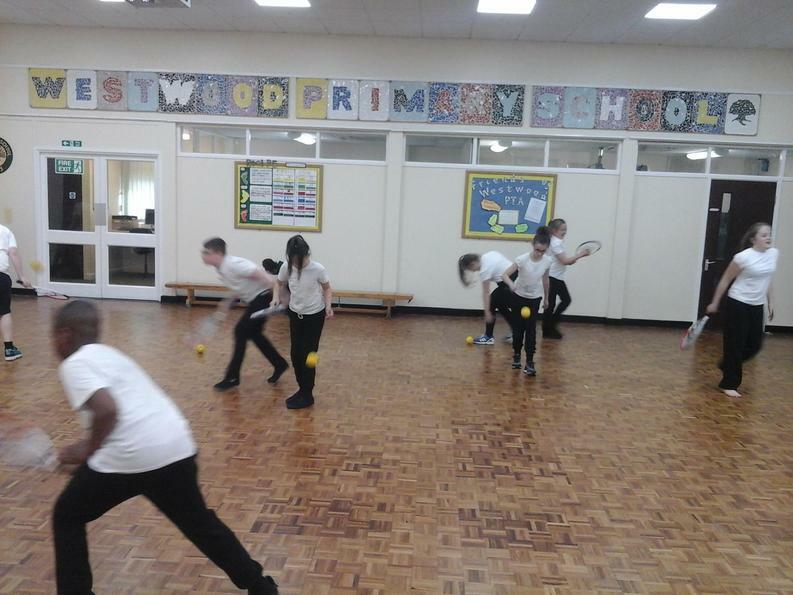 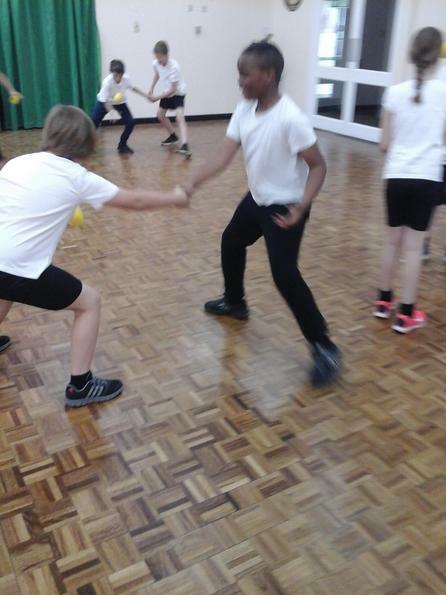 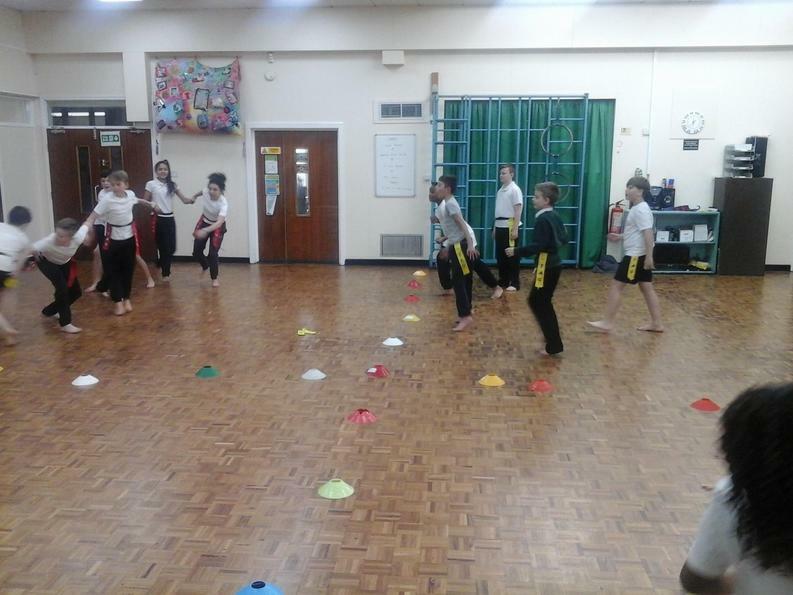 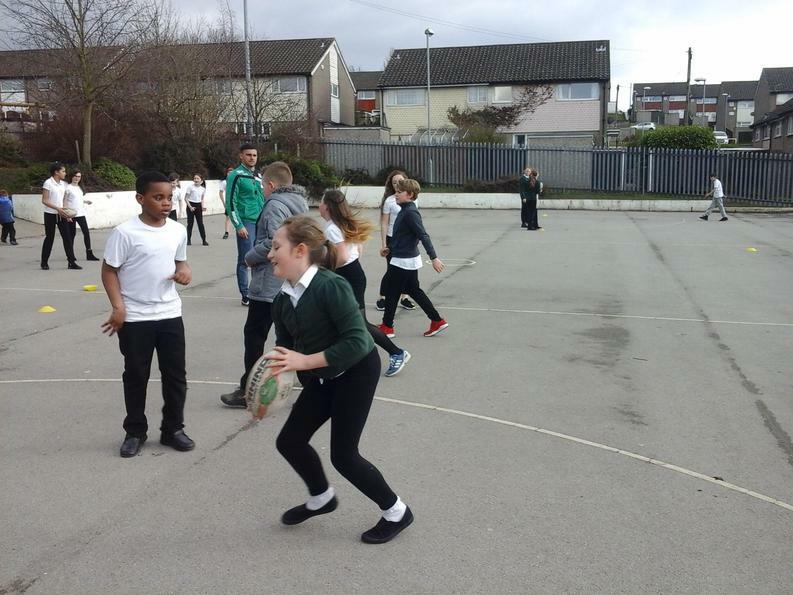 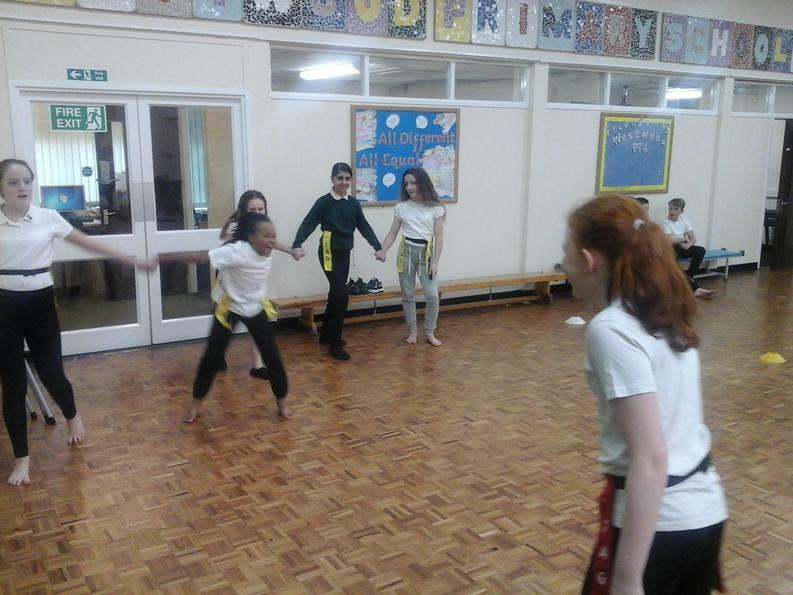 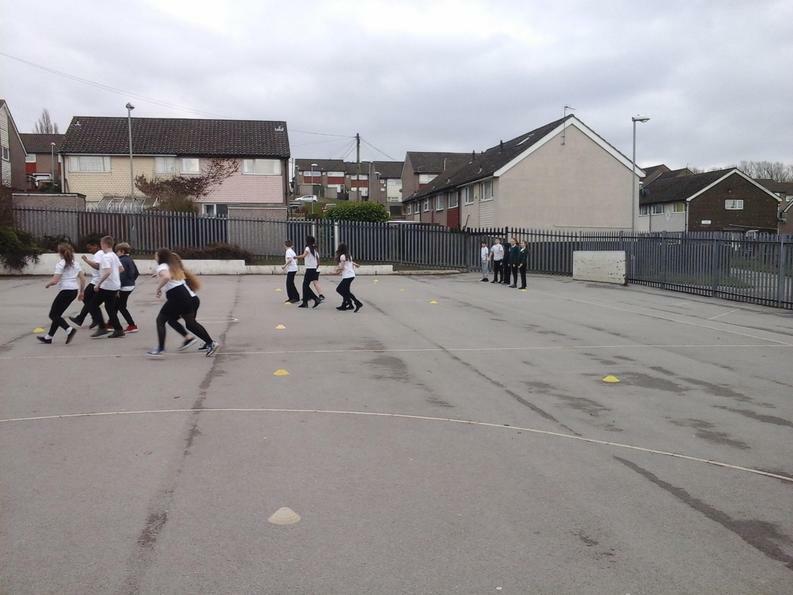 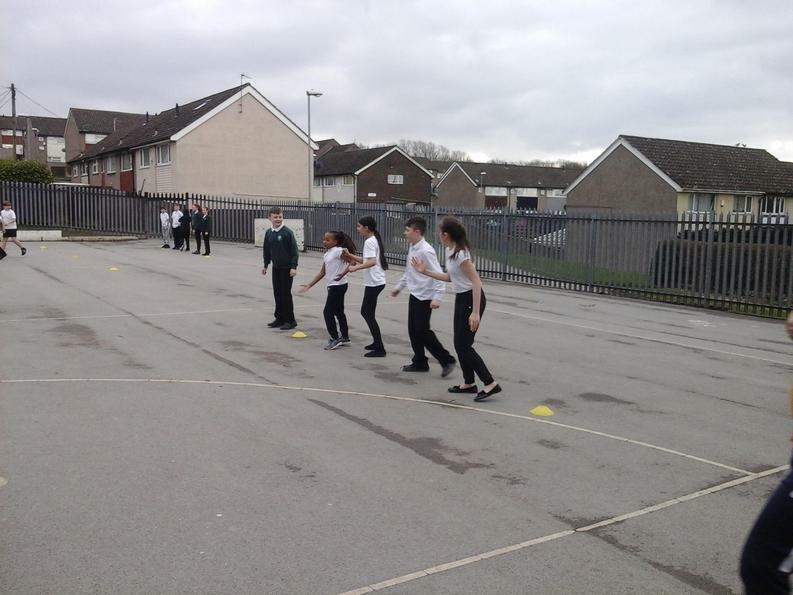 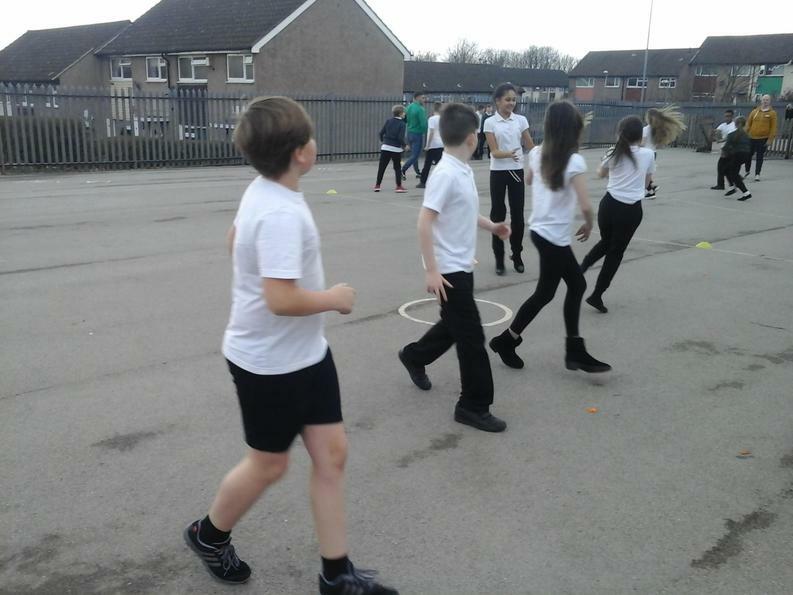 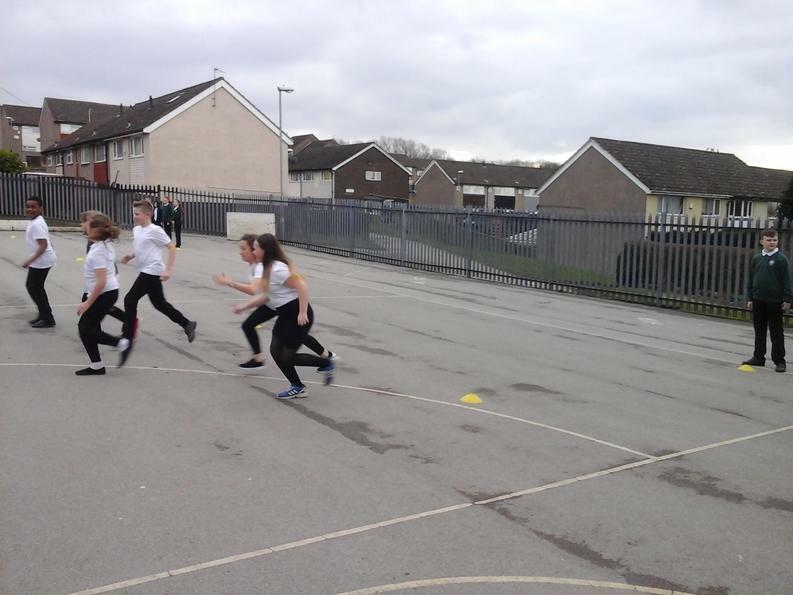 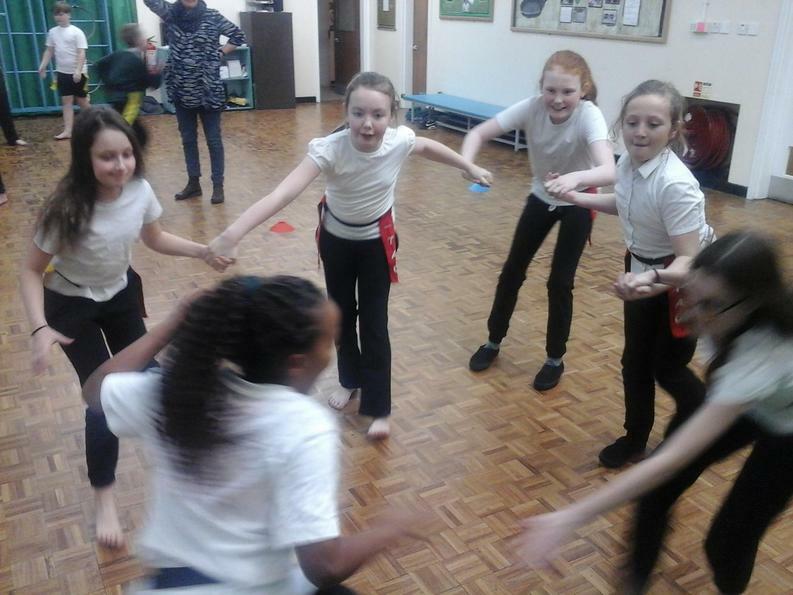 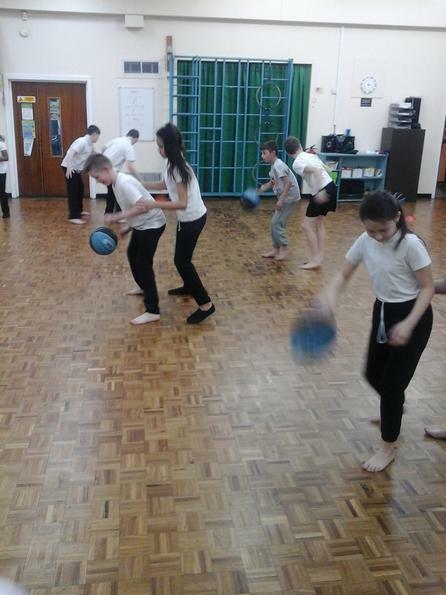 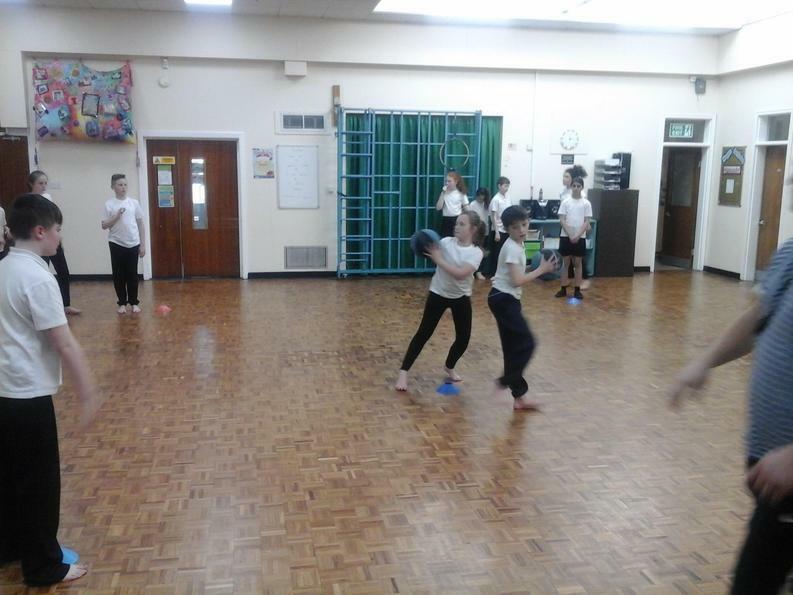 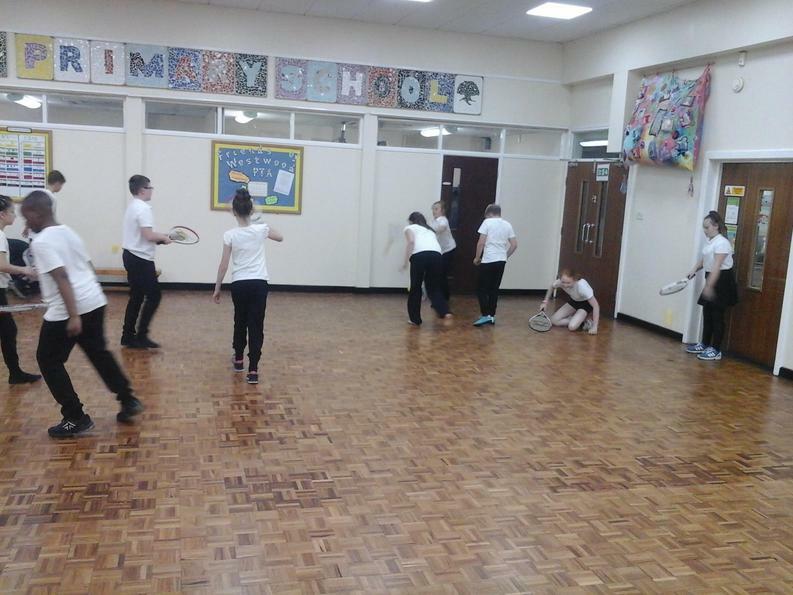 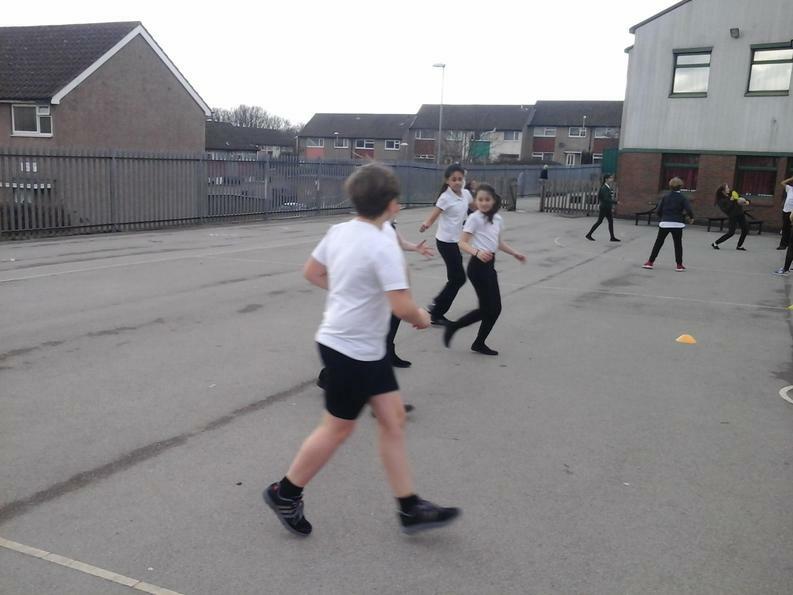 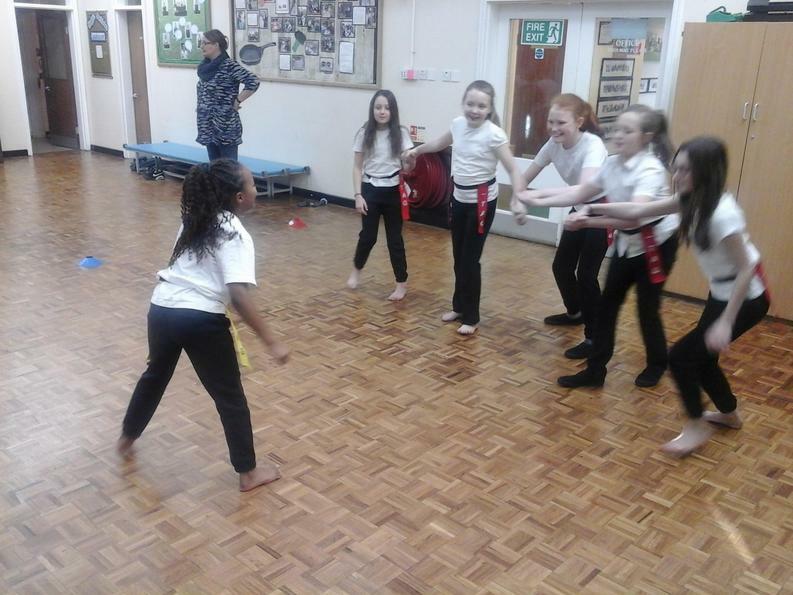 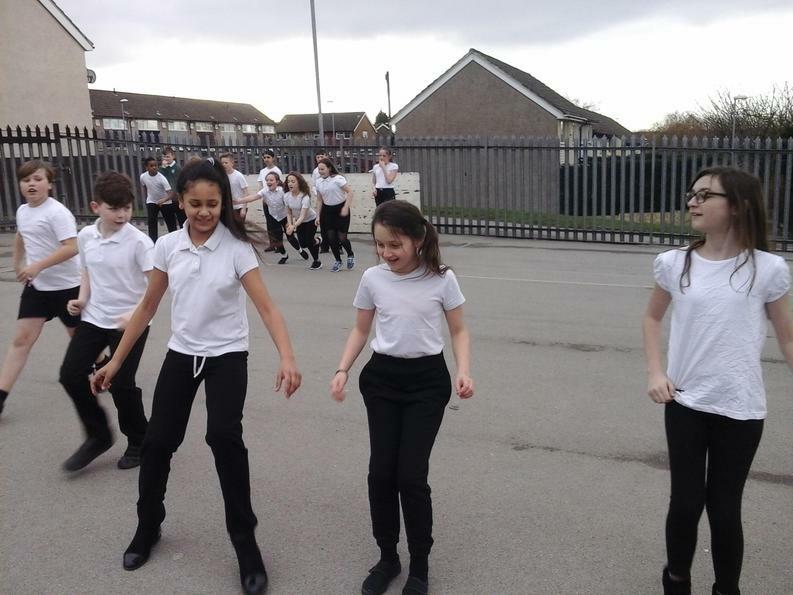 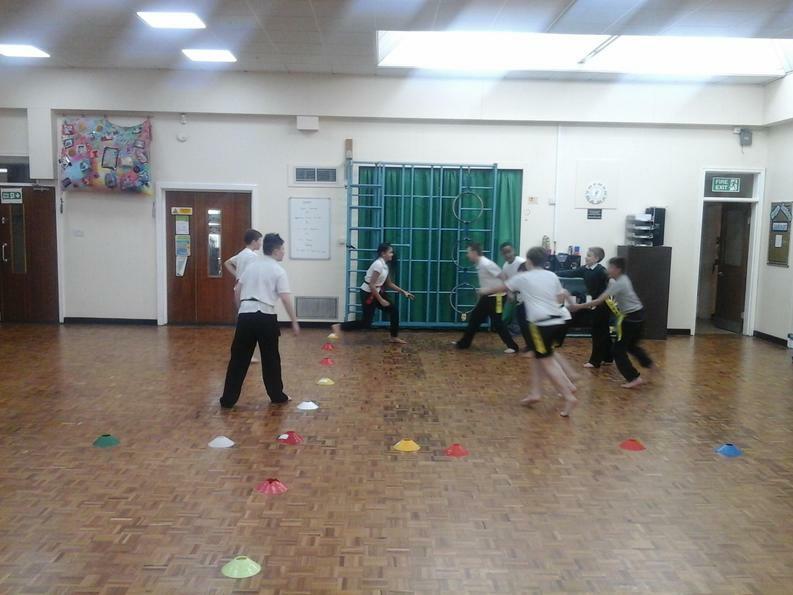 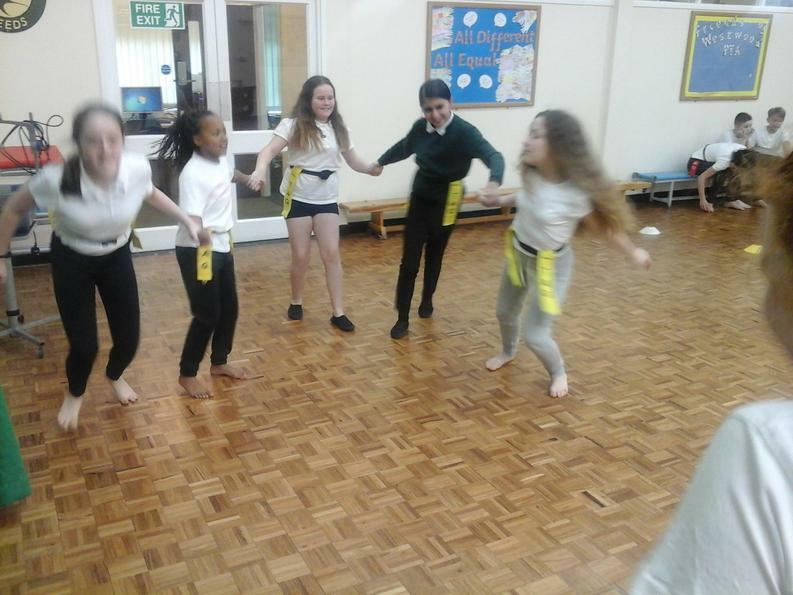 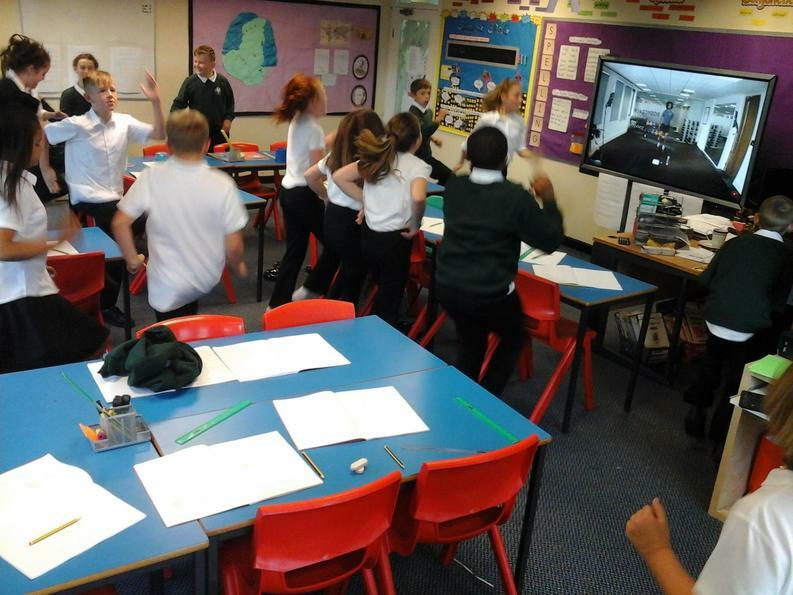 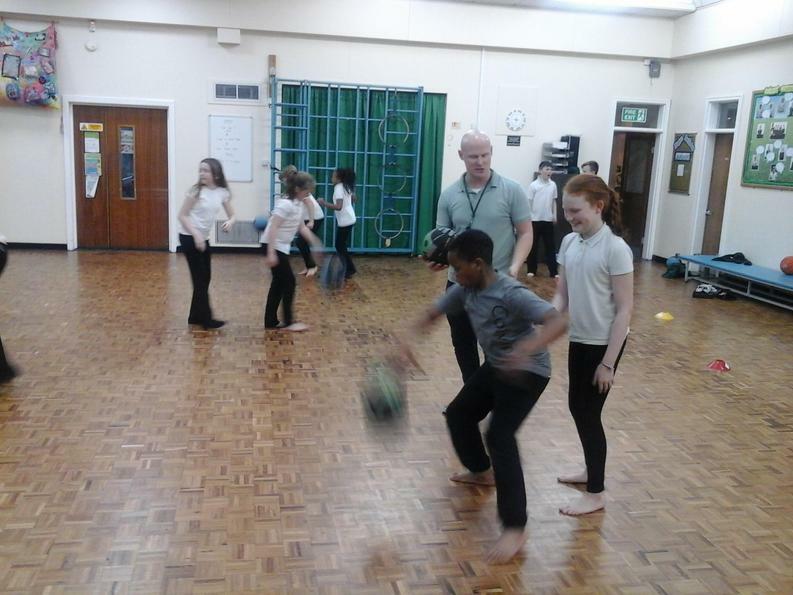 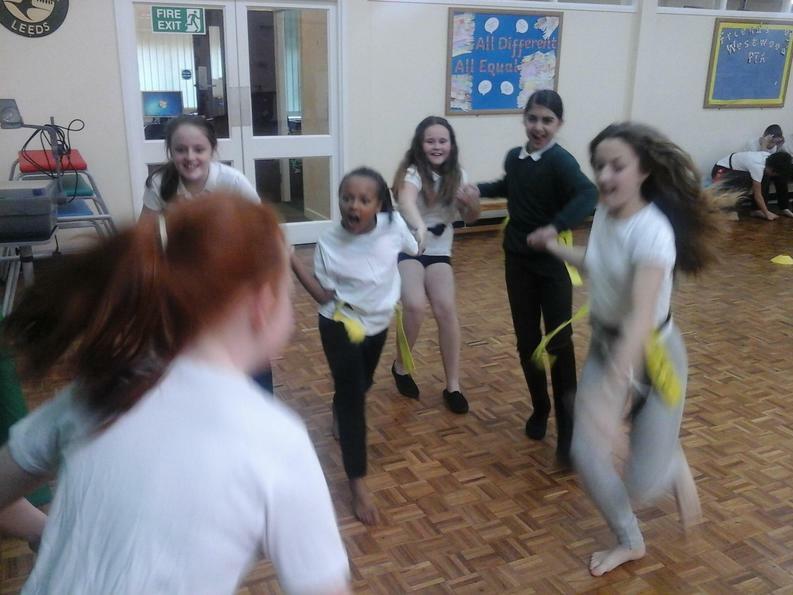 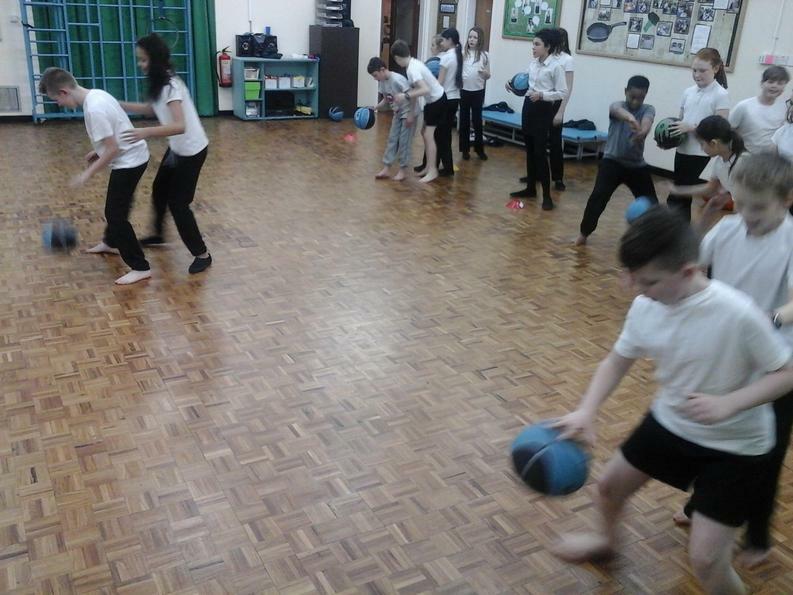 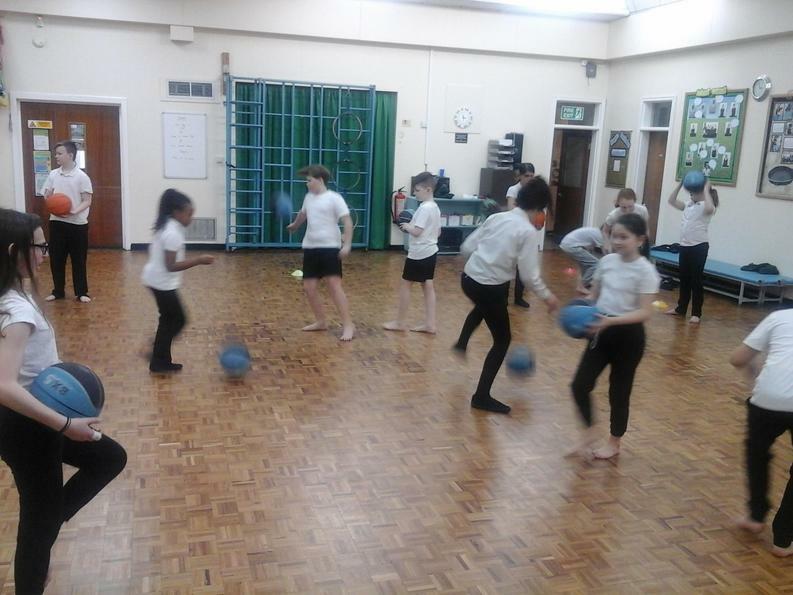 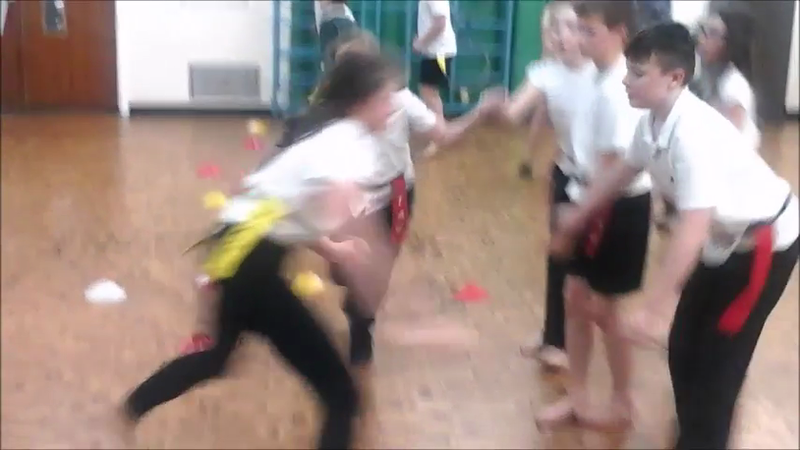 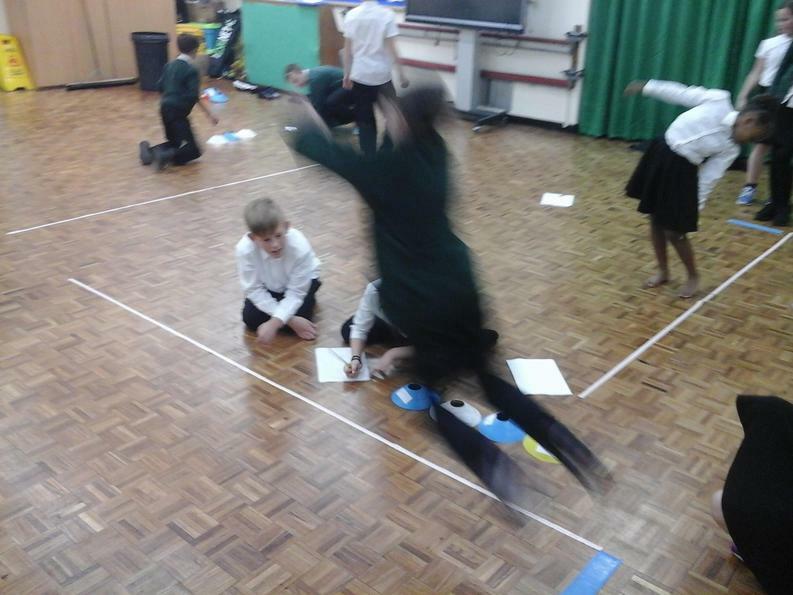 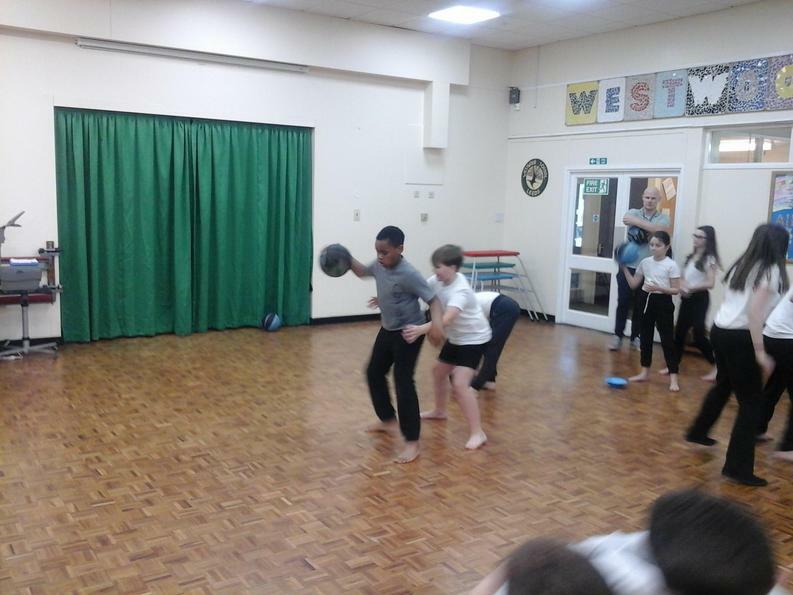 After Christmas, we started playing Kabaddi in PE. 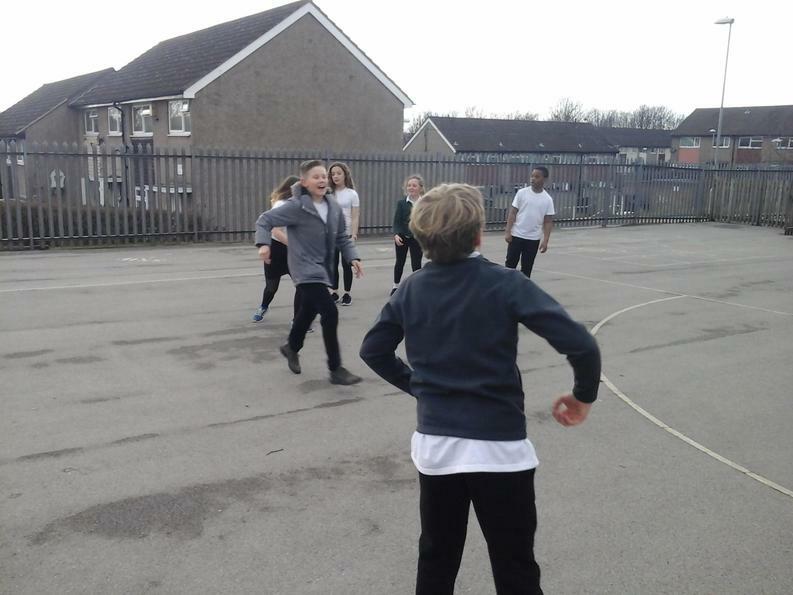 The aim of the game is for the attacking player to steal one of the other teams tags before the defending team can grab one of the attackers tags. 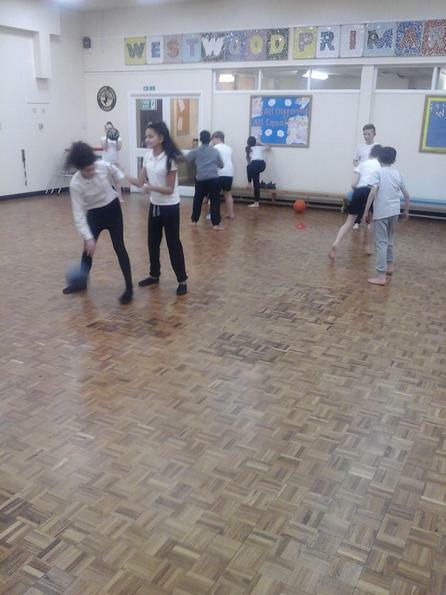 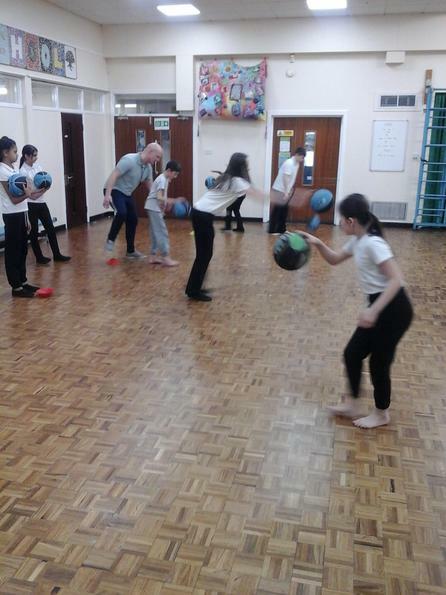 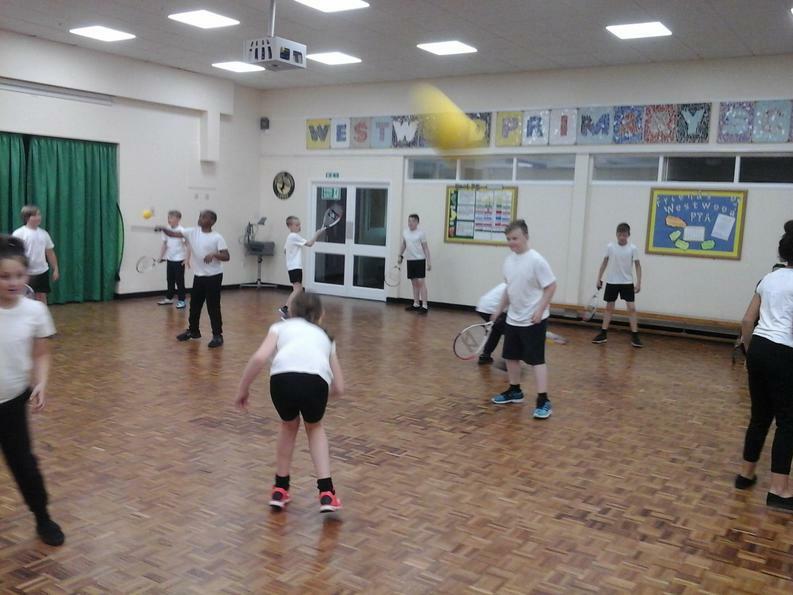 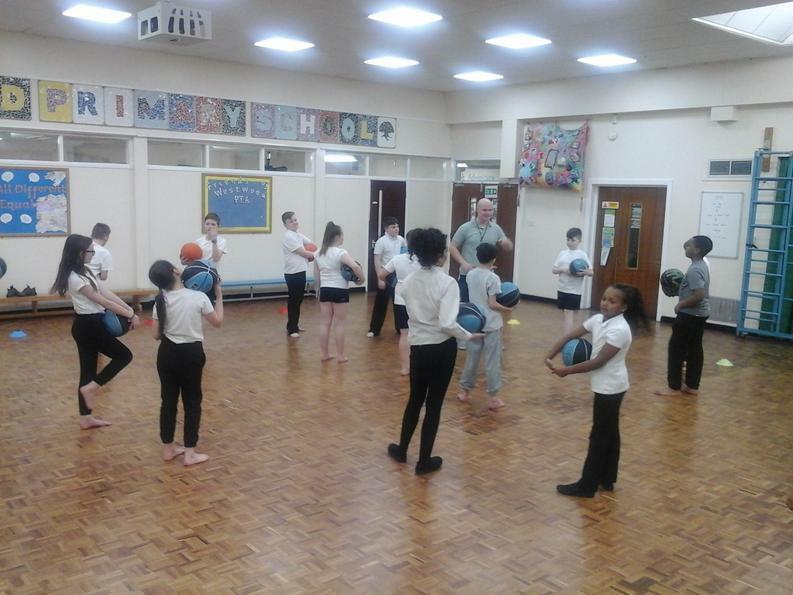 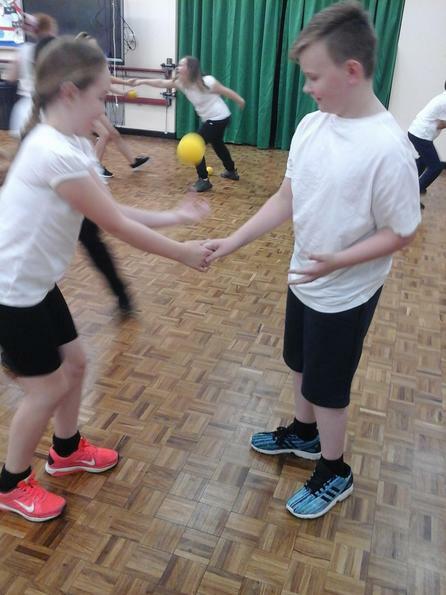 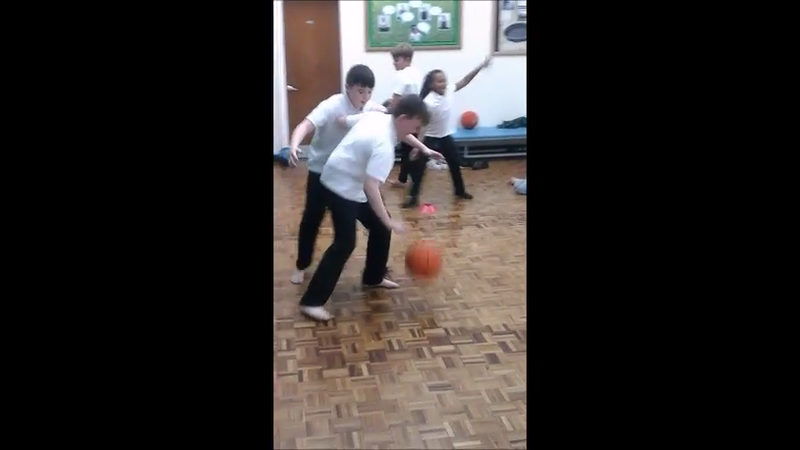 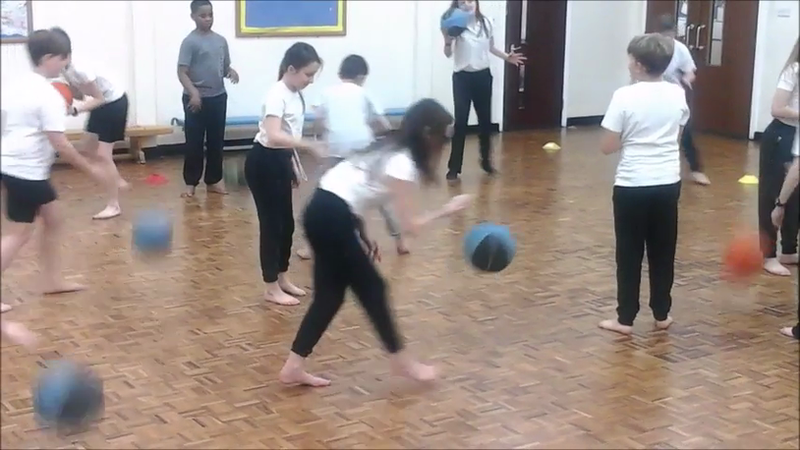 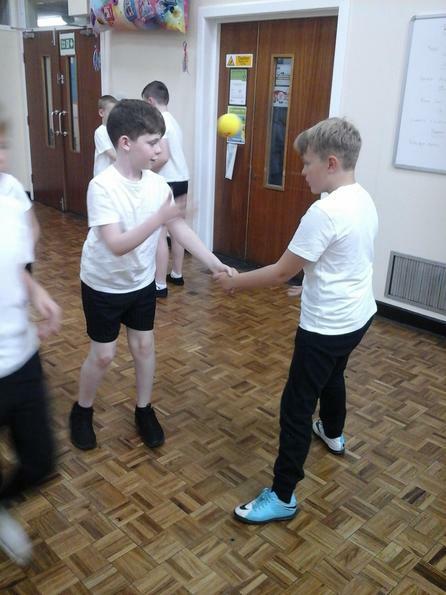 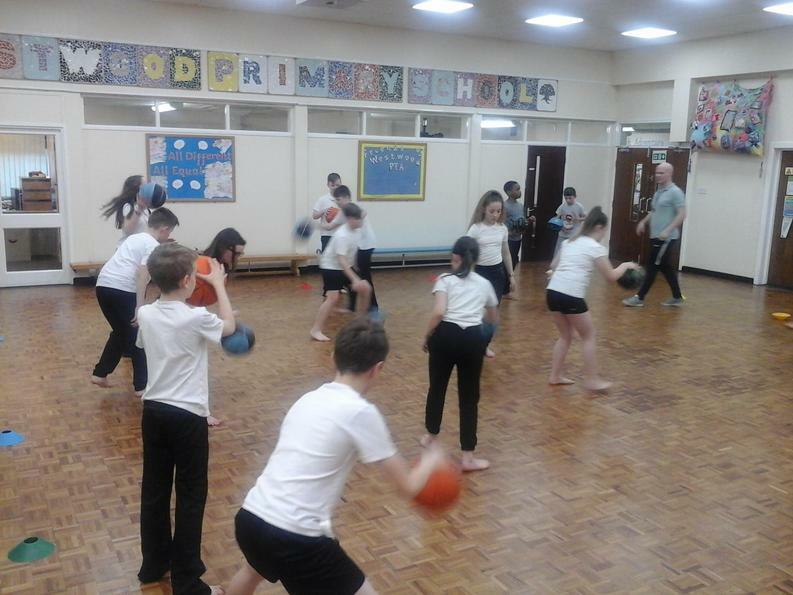 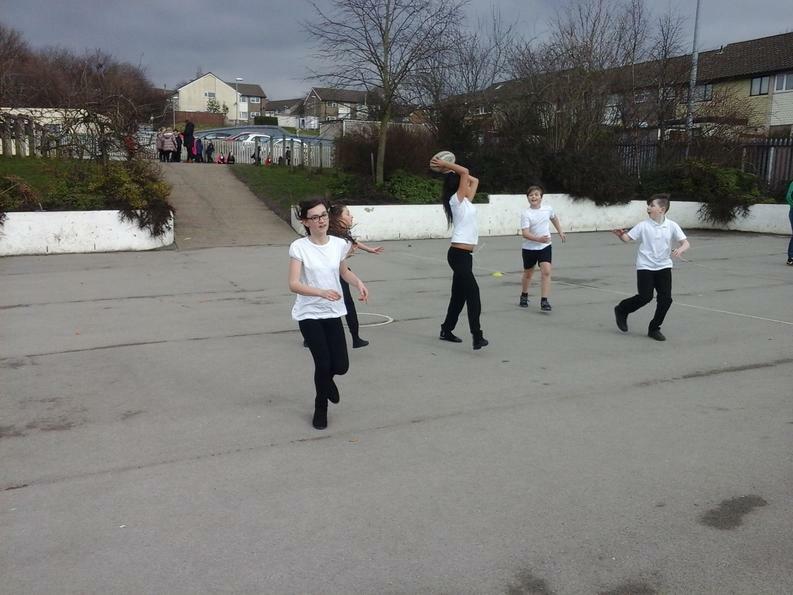 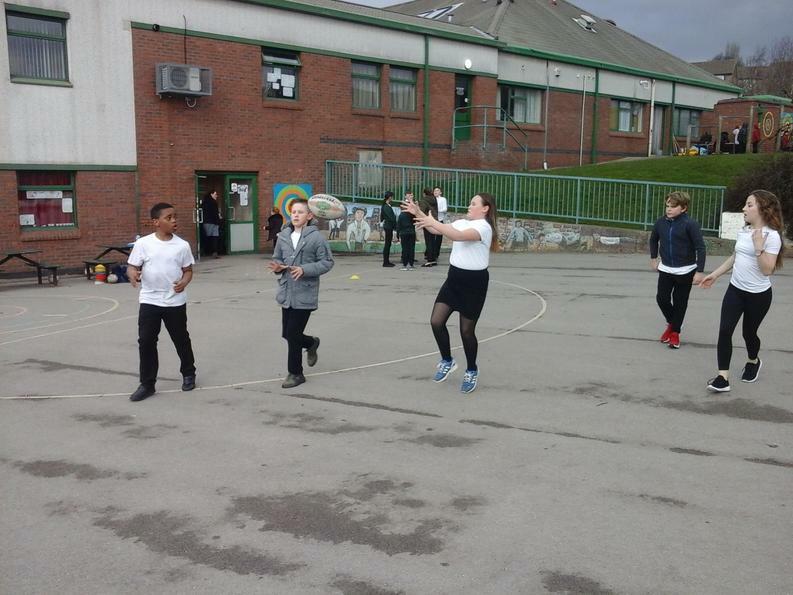 The new sport we are learning to play in PE this half term is basketball. 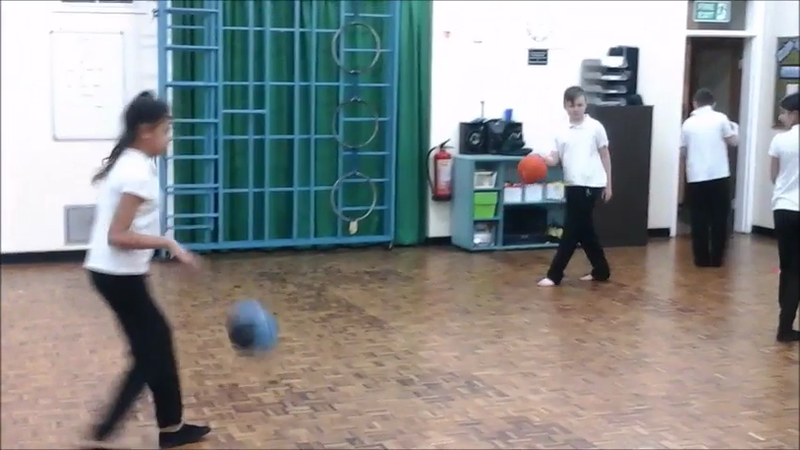 In our first lesson we focused on dribbling the ball and our skills of awareness. 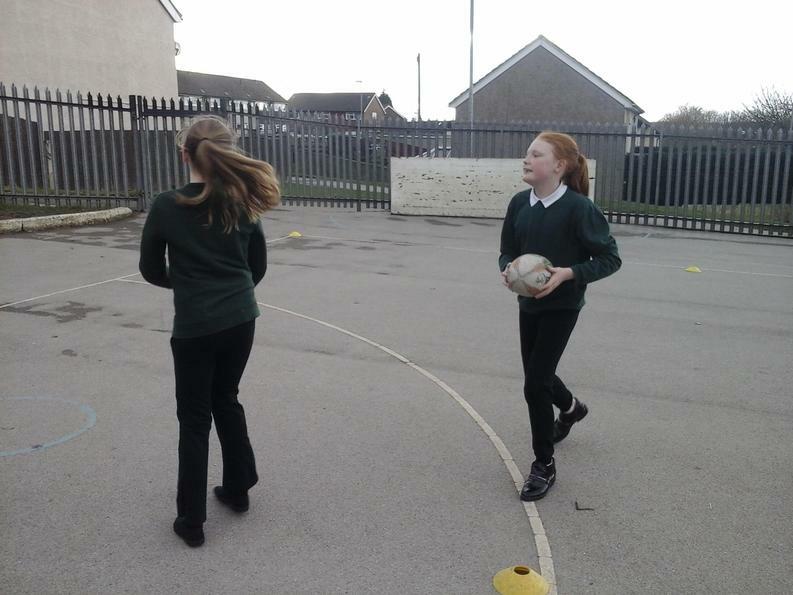 This half term, the sport we are learning to play is Rugby. 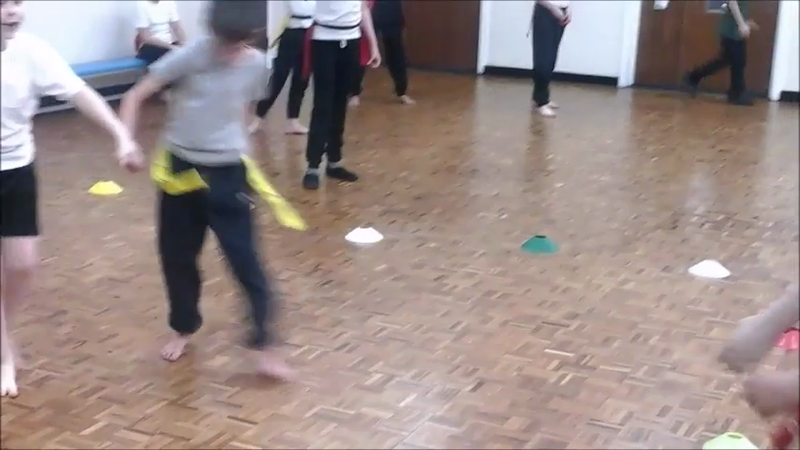 In this lesson the coach had us doing several training activities - the first of which was to practice moving as a defensive line. 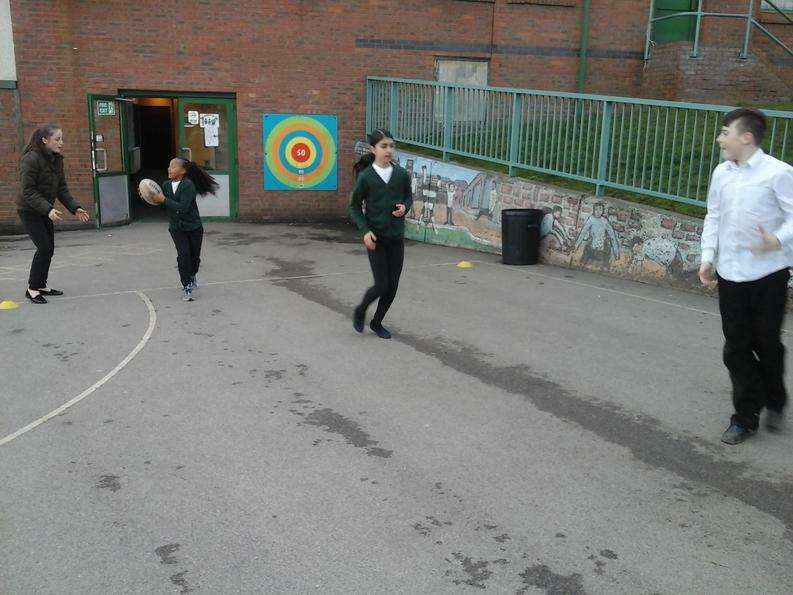 The next activity was to practice passing the ball while moving in a line.